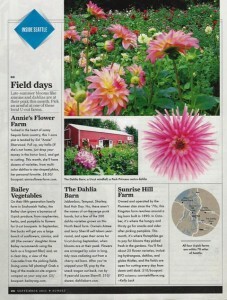 Join our farm newsletter to get great dahlia information direct from the growers! 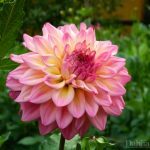 Now that your dahlias are done blooming for the season, it’s time for their winter rest and time to determine whether you’ll dig up your dahlia tubers OR to mulch them and leave them in the ground for the winter. 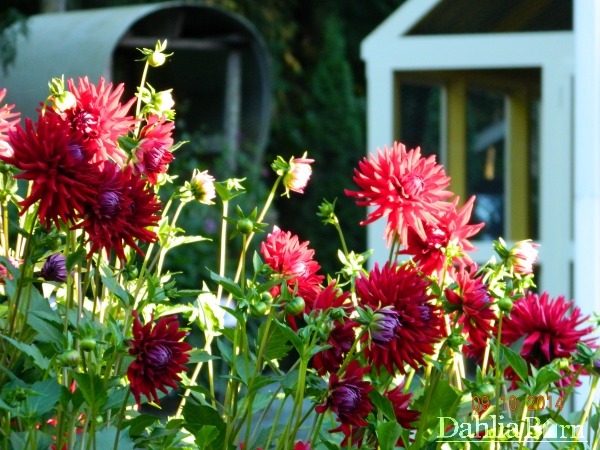 Dig up your dahlias AFTER you have had a freeze. 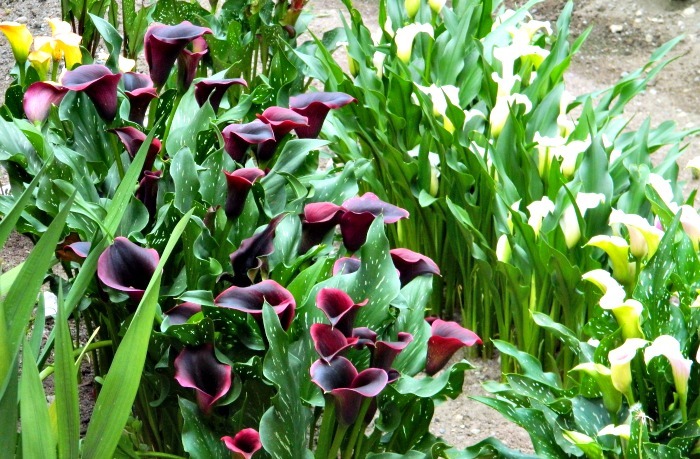 Let them freeze in the garden, and wait about 1-2 weeks after a freeze to dig them up. During this time, the skins are thickening up underground and they are preparing themselves for winter. 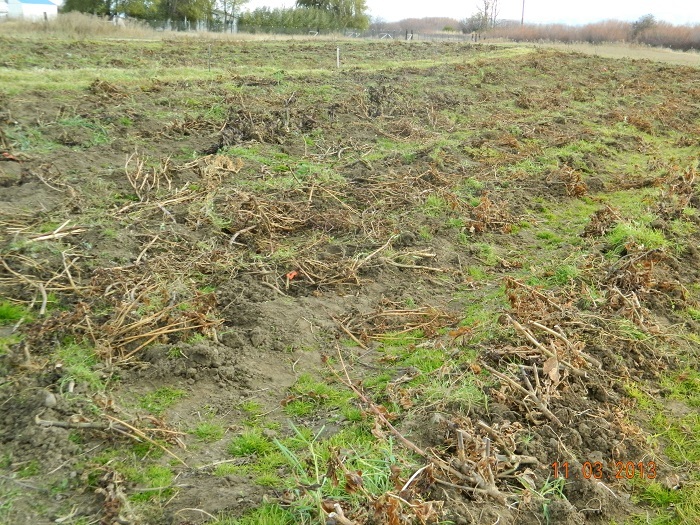 Dahlias dug before this time or too early, generally will shrivel and will not survive winter storage. 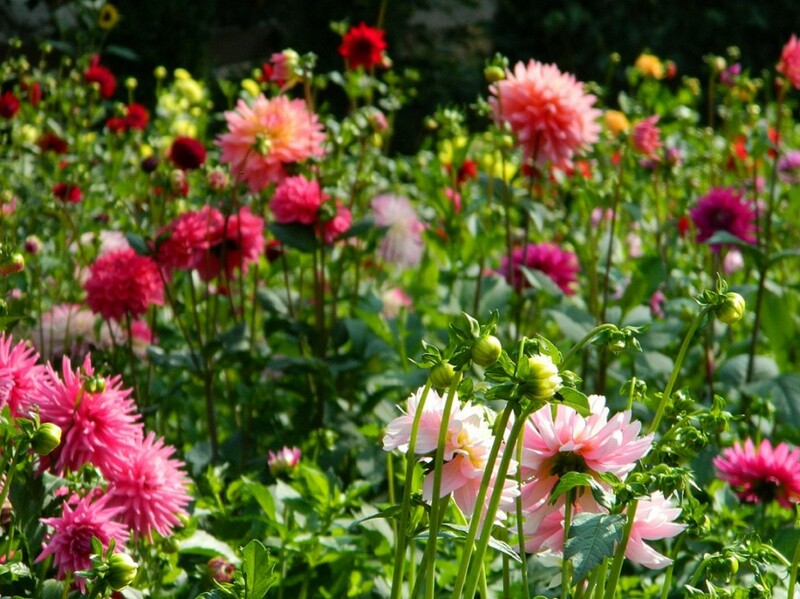 By mid November, if you live in an area that DOES NOT freeze, it is safe to dig up your dahlias by mid November. 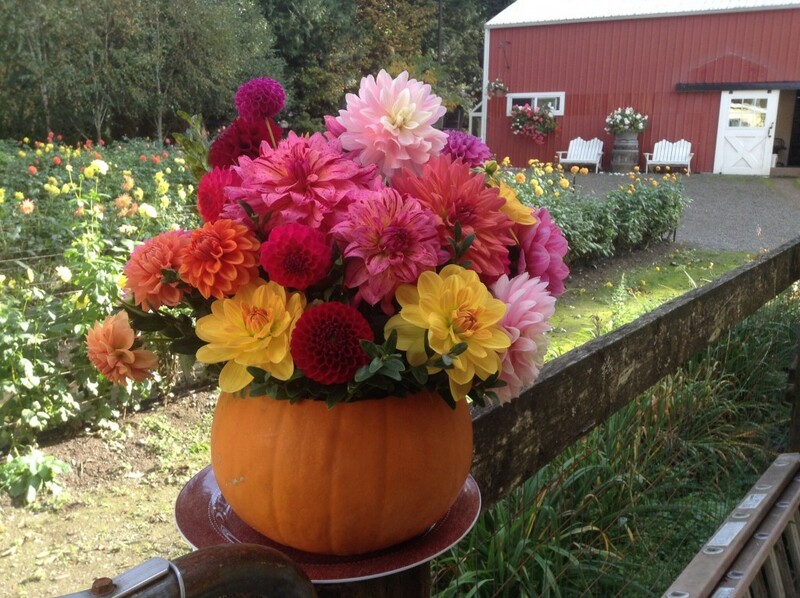 We always recommend that you dig your dahlias every fall for a few reasons. 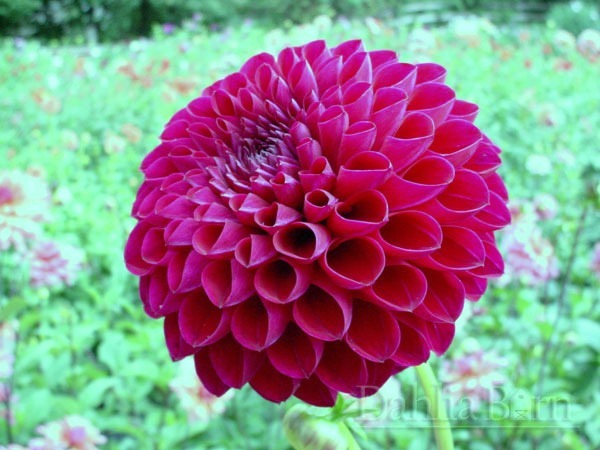 1 – Dahlias are tender and will not survive harsh, freezing winters with frozen soil. 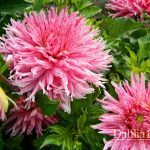 2 – Digging and dividing your dahlias over winter will keep your dahlias healthier and stronger than the ones left in the ground. Dahlias left in the ground year after year, will create a massive tuber clump that will send up many week, unproductive stalks. 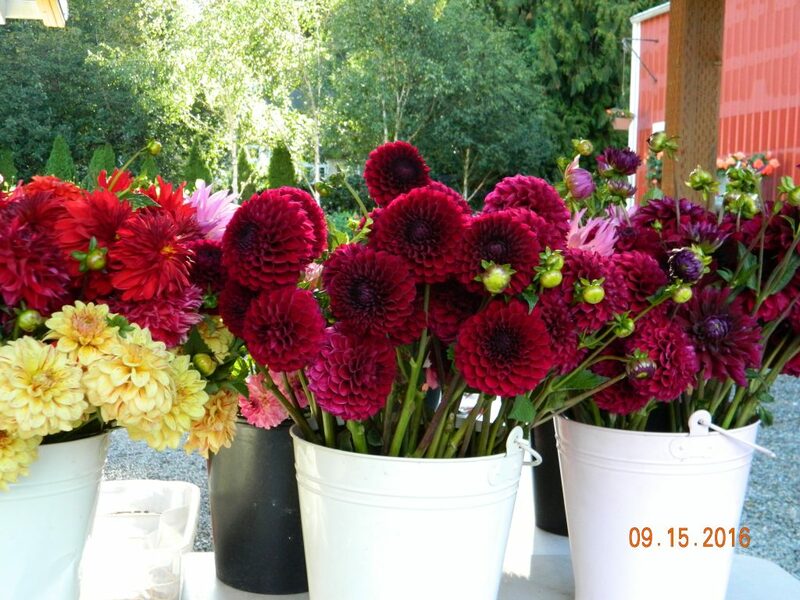 3 – It’s a chance to save your favorite dahlias and build your stock up! 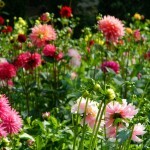 If you live in an area that does NOT have harsh, freezing winters you may be able to leave your dahlias in the ground. 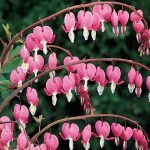 In mid November, cut the stalks down low enough to the ground to where the stalk is not hollow. 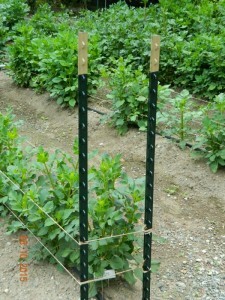 This will keep the water from getting into the hollow stalk and freezing, and re-freezing your dahlias. 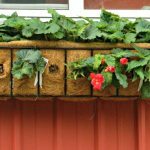 Add a THICK layer 8″ – 12″ of mulch such as straw, grass clippings, leaves or compost to insulate the ground. Remove the mulch in March so the soil can begin to warm up. 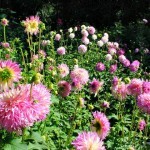 If you only have a few dahlias in your garden, and you don’t want to go through the work of digging and storing. Leave them in the ground, if they come back GREAT! If they don’t, oh well just pick up a few new tubers in the spring. clump and lift up. Tap off the dirt with your shovel, do not rinse your dahlias. 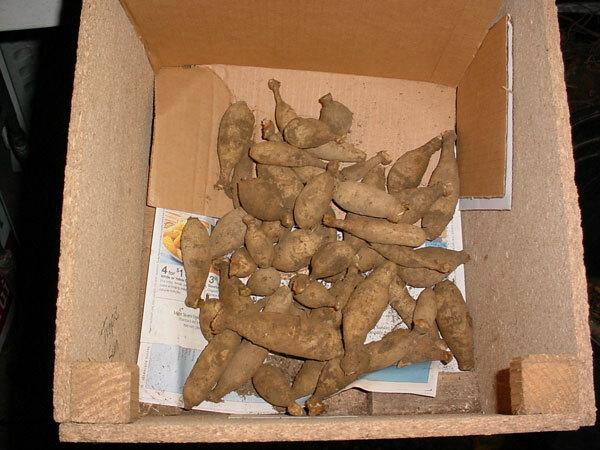 We find that it’s rinsed tubers sometimes have a tendency to shrivel in winter storage and it’s extremely difficult to get them dry enough before storing for winter. 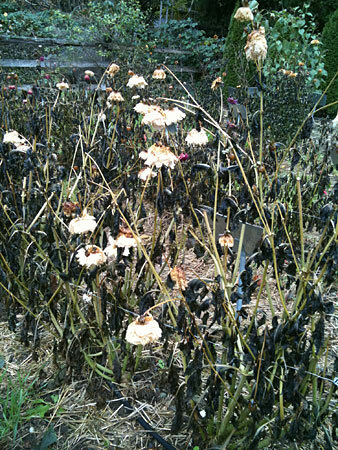 If your dahlia tubers are wet, they will rot and there is no saving a rotten tuber. Cut the stalk off at this time, and get them to an area that is above freezing. Think about where to store them that stays in the 40-50 degree range. We say NO to rinsing, tap the dirt off. If there is still lots of dirt after tapping, set the clump aside for a few days to let it dry out. Tap again, and most of the soil will come off. It is OK if there is a little dirt on the clump, it keeps a little insulation and humidity by the clump. When you rinse, it’s so difficult to get them dry enough before going into storage. Keeping them as dry as possible after harvest, will bring you more success. 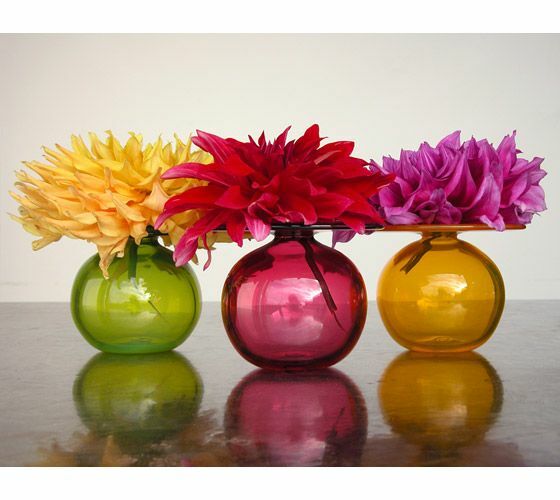 There are many different ways to store your dahlias. The ideal temperature is around 40-50 degrees. An attached garage is usually safe. Unheated outbuildings typically will freeze and aren’t a good choice for storage. Once dug up, make sure they never freeze wherever they are stored. Make sure they are very dry before they go into storage. Tap the dirt off the clump, do not rinse. Either one is fine, in the fall they are easier to cut, in the spring the eyes may be easier to see, but they will be tougher and harder to cut. We start dividing in the fall and continue through late February. Colder Climates – usually need added protection when storing. If you want to use the cardboard box lined with newspaper method, add a layer of peat moss, add a layer of dahlias, another layer of peat moss, etc until the box is full. This can give you an added layer of protection from freezing and keeps humidity higher. 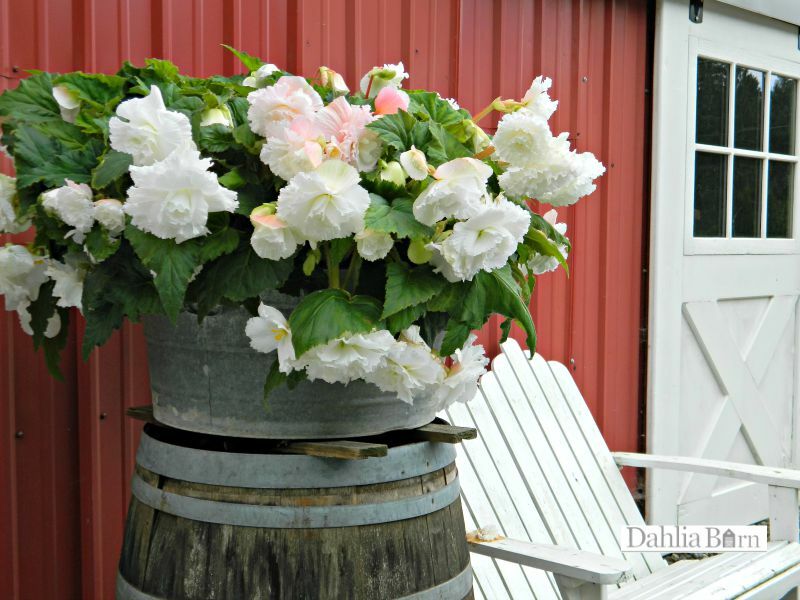 If you want to store your dahlias while they are still in clumps, you can use this method too. Layer of peat moss, layer of dahlias in clumps, peat moss, etc. Keep the temperature at 40-50 degrees at all times during winter storage. 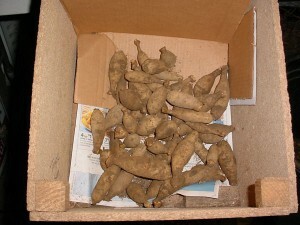 The humidity should be kept medium-high to keep tubers from drying and shriveling. 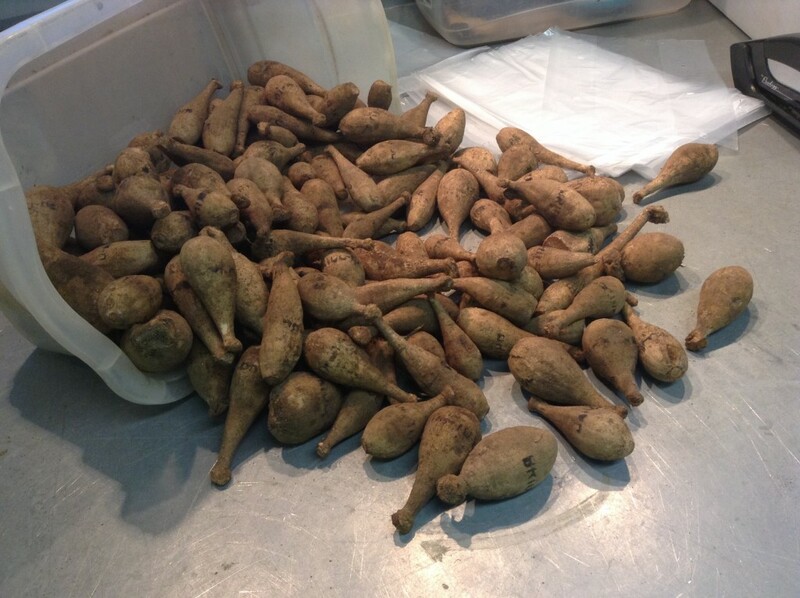 Check your tubers monthly during winter storage. 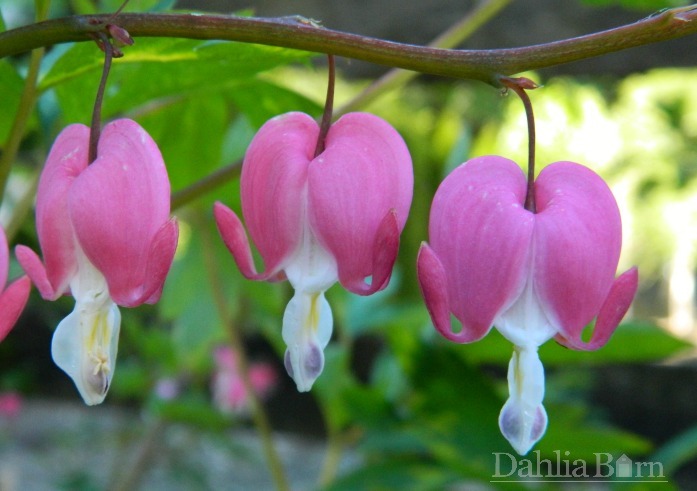 See our ‘Dahlia Care’ page for more detailed information. 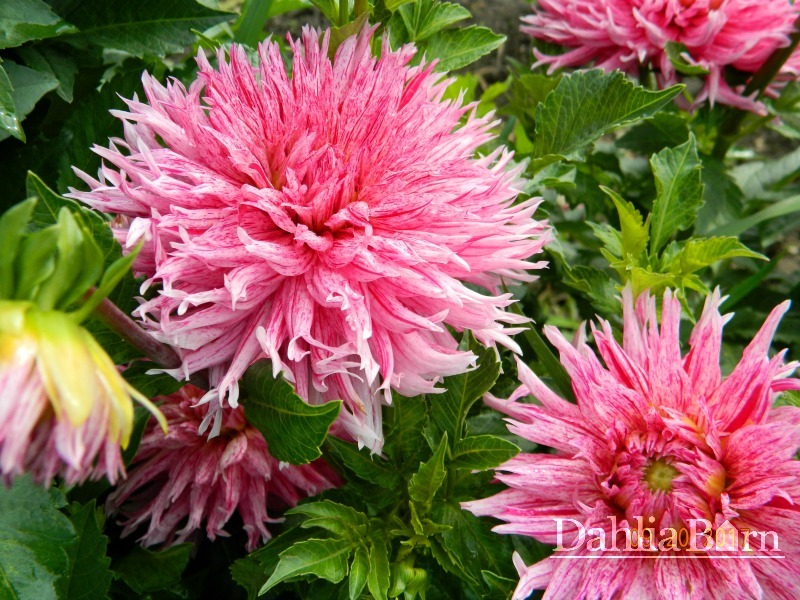 Our website is OPEN for dahlia tuber sales. 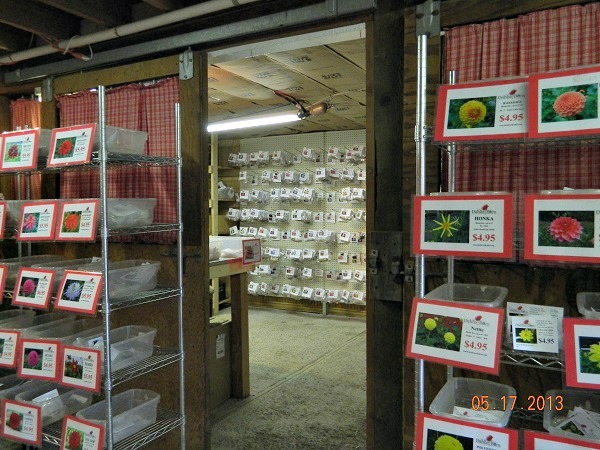 You’ll get the best selection when you order now for Spring 2019 shipping or farm pick up! 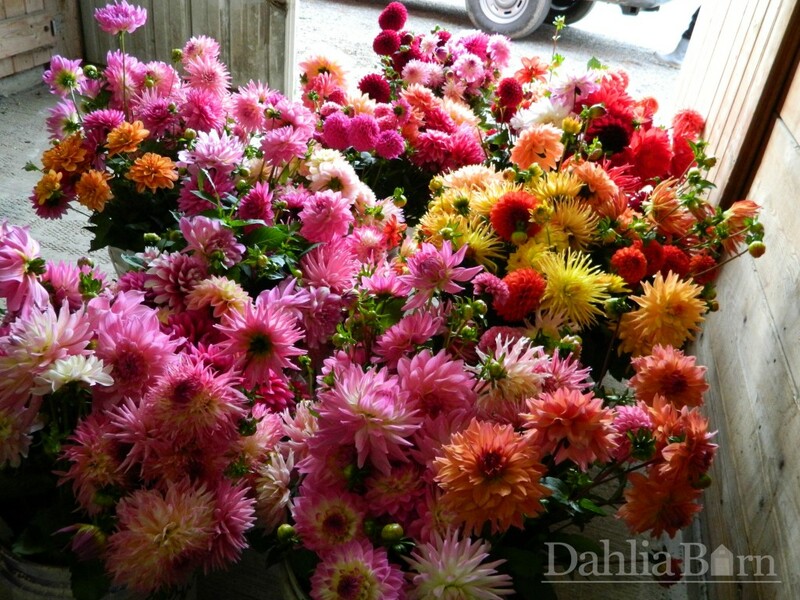 We hope this blog post helps you have a successful dahlia harvest! 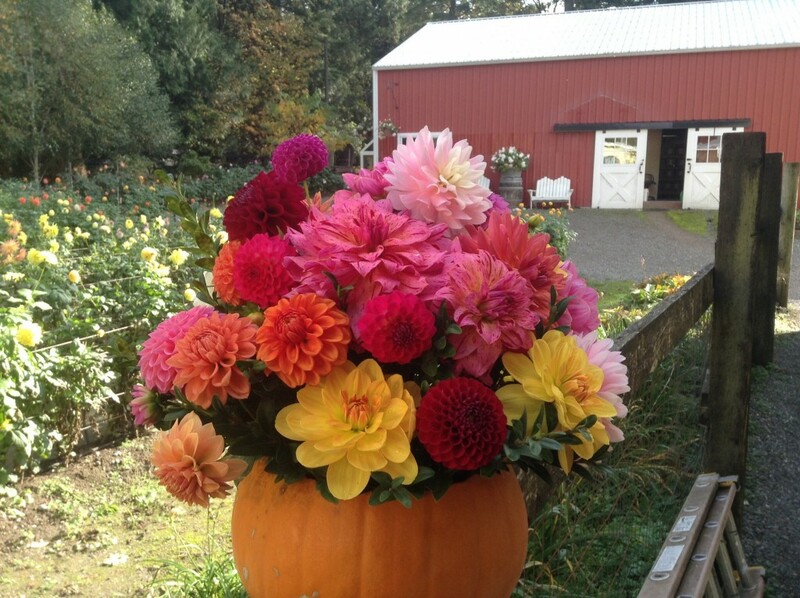 Happy Harvesting from Dahlia Barn! Summer is in full swing! 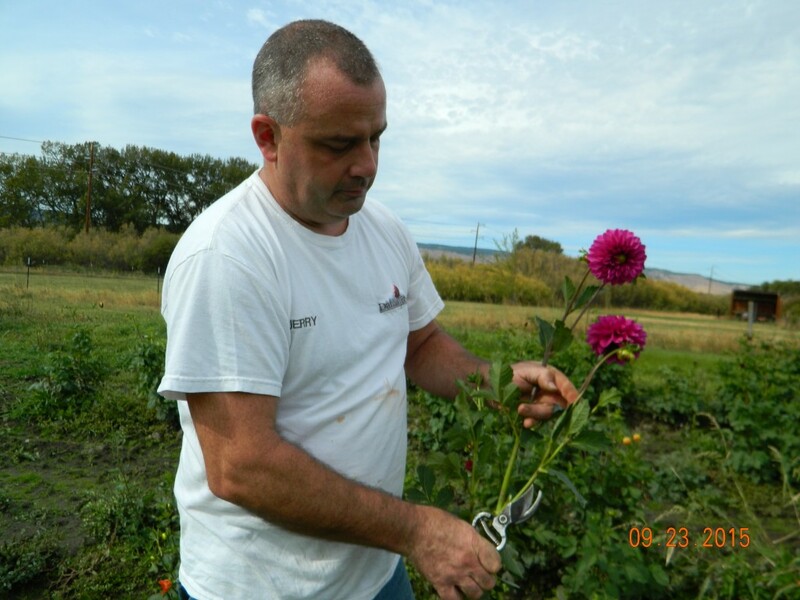 There are some things we can do right now insure our dahlias will be blooming on time, and will stay productive into the fall season. 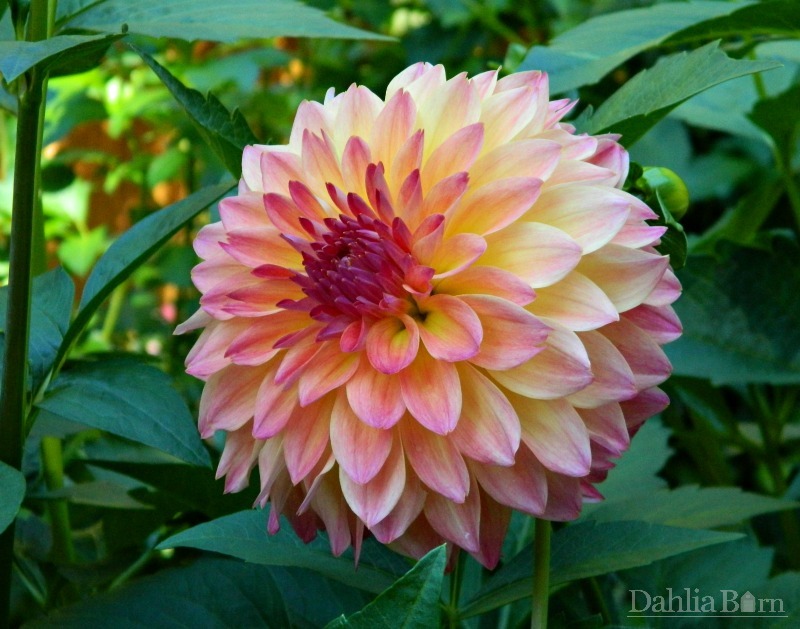 Here are 5 dahlia care tips, that are important this time of year. 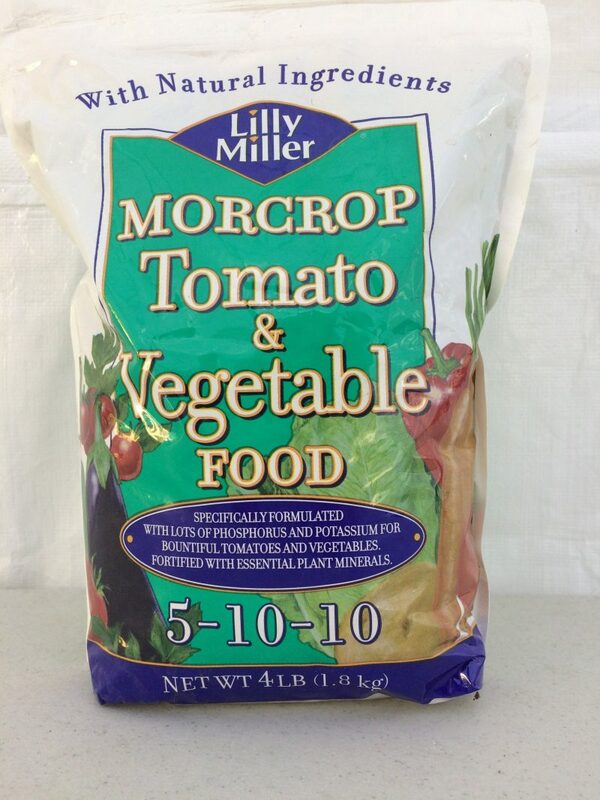 1) If you HAVE fertilized once this season, fertilize again with a 5-10-10 fertilizer. 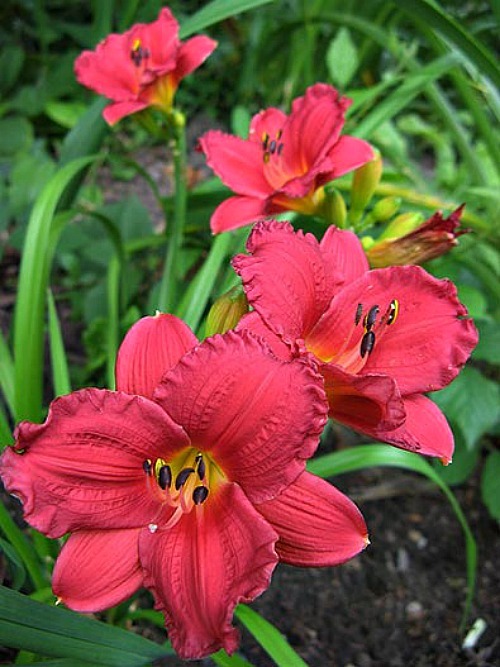 If you HAVE NOT fertilized yet, fertilize now and then fertilize again around August 10th. Don’t fertilize after August 15th, your dahlias will not have time to absorb the fertilizer that is already in the ground. 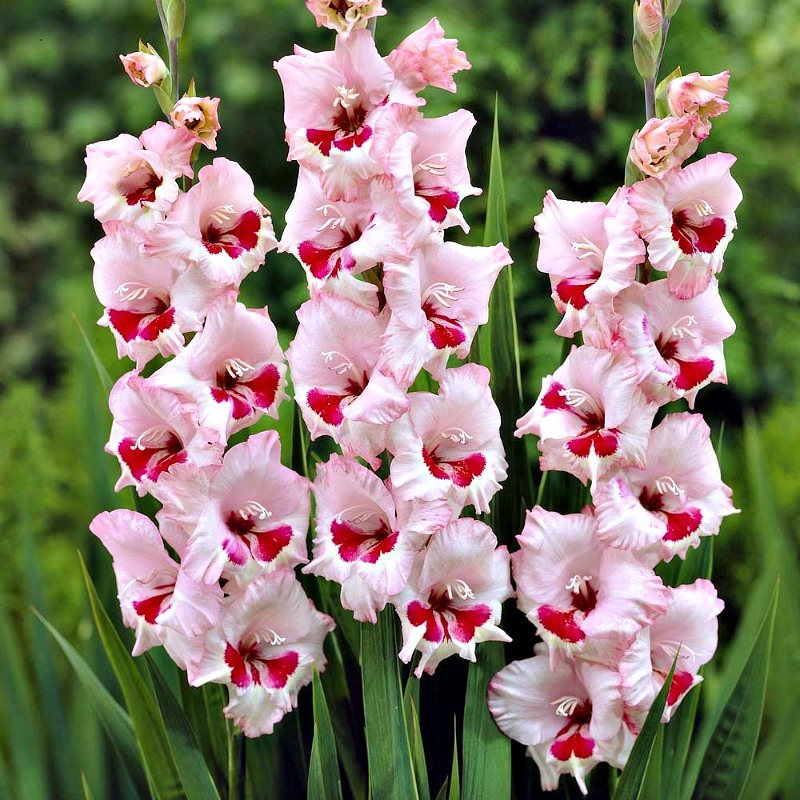 2) Water Water Water – If they don’t get good waterings right now, they will be late to bloom, and won’t be as productive as they could be. 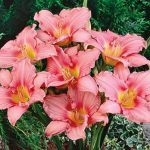 A deep soaking 2-3 times per week will get them blooming on time. 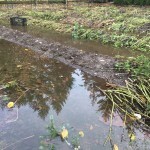 Be sure that you are soaking the ground long enough so that the water is reaching the tubers. We find a 1 hour soak with a soaker hose is the most effective. Hand watering is never enough. 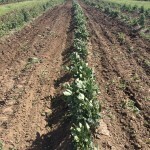 If your dahlias are planted in rows, 2 stakes at the end of each row works great. damage the tuber clump underground. If you plant in rows, like the picture on the right, 2 t-posts at the end of the row works best. 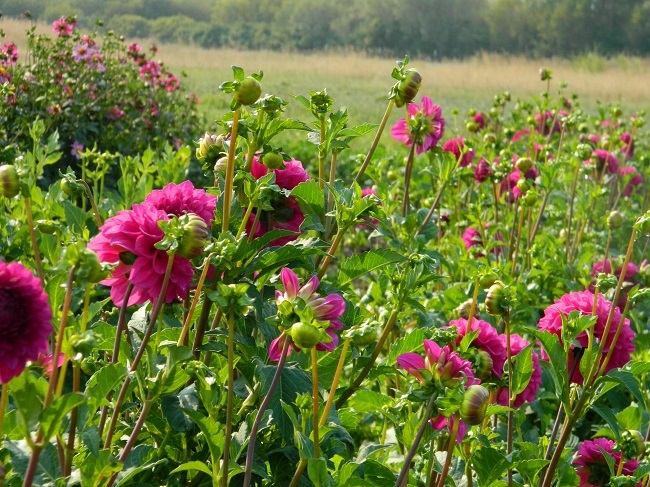 4) Weed management – Pull weeds so they aren’t competing with your dahlias for water and nutrients. This is most important for people in the Northern United States, whos dahlias are probably at bud stage. For the southern and central United States, your dahlias have probably been in bloom for awhile now. 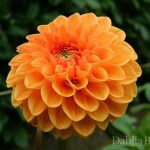 When cutting dahlias that are in bloom, focus on taking the center out of the plant, cut the blooms then cut the center out. 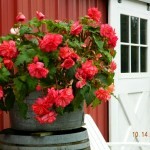 1) It will keep your plant from getting so tall and top heavy. 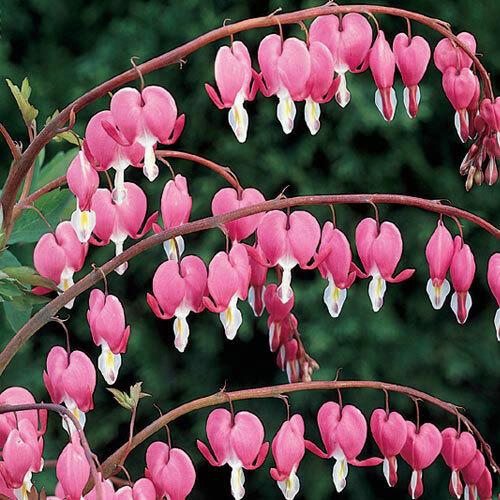 2) It will branch out your plant into 4 stems instead of one. 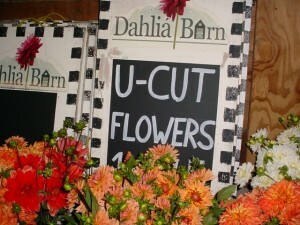 We will soon be in our cut flower season here at Dahlia Barn! Need flowers September through mid-October! 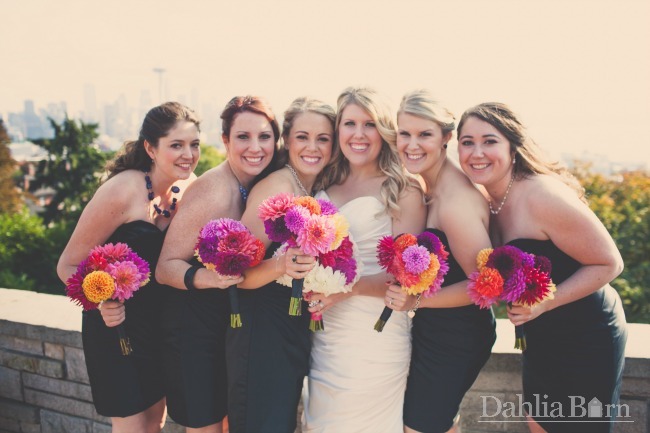 Call us and we’ll set you up with the most gorgeous dahlias! 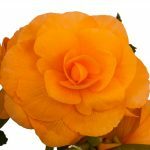 See our ‘Cut Flowers’ page for more information. 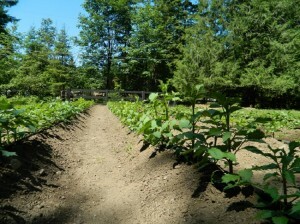 Soil is the first step in a successful garden, because plants are only as good as the soil they are planted in. 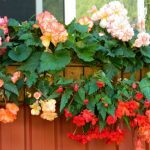 Replacing nutrients lost over the winter months is essential to how well your plants will produce during the growing season. 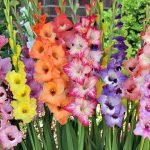 Growing great gardens takes a lot out of the soil from year to year, and it’s important that we put that nutrients back into the soil from year after year. Add a 4″ layer of compost to your planting beds, then till or work in with a pitchfork to mix the compost and the native soil together. 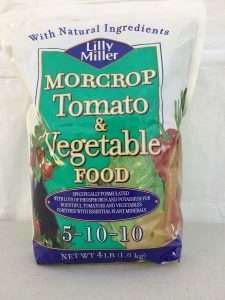 This will drive the nutrition back into your soil that was depleted from last years garden. Compost improves the soil by adding organic matter to make the soil softer, compost allows the soil to drain better, adds oxygen to the soil by improving drainage and attracts beneficial insects, worms and micro-organisms to you soil. The benefits of compost is endless, but too much is not a good thing either. Your plants don’t like to grow in straight compost, they need the micro-nutrients that comes from your native soil as well. Clay soils will become more loose in texture allowing for better drainage. 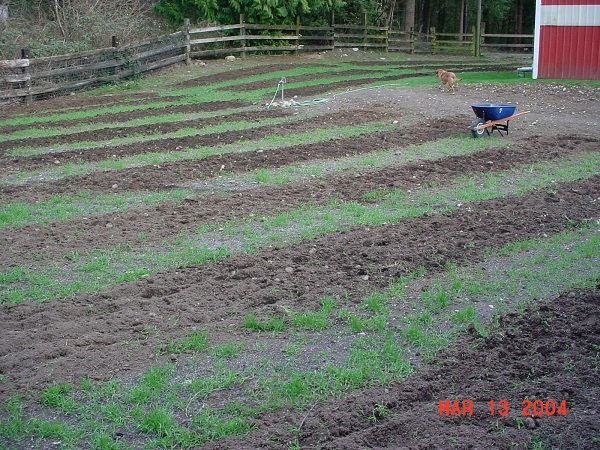 Sandy soils will hold more moisture and nutrients by adding compost. on the bag, how many square feet of ground 1 bag will cover. 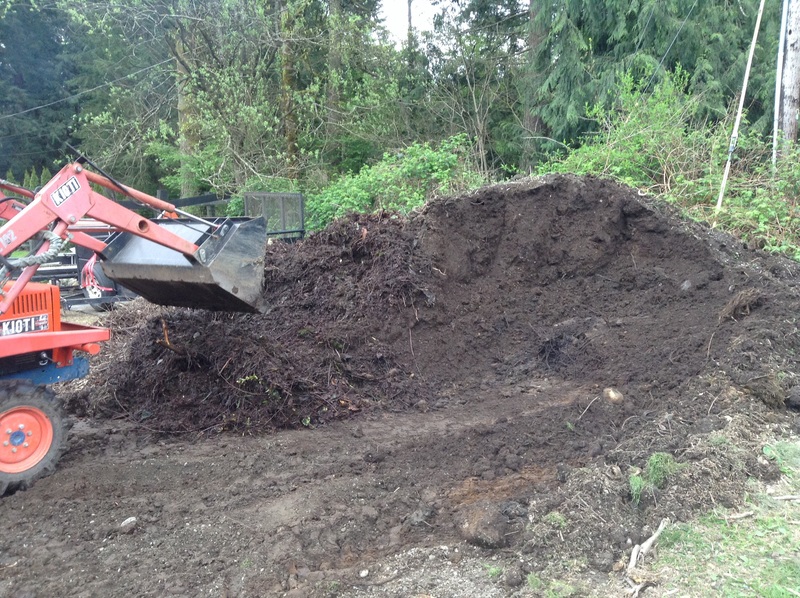 If you have a larger garden area and a truck, buying compost by the yard is a better option. It’ll also be cheaper than buying the same amount of bagged soil. 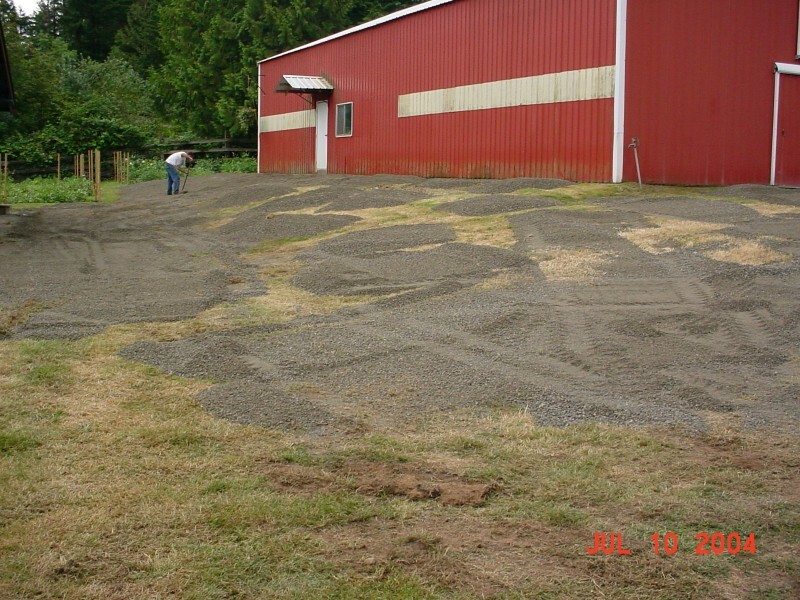 Nurseries in your area often have compost by the yard that they load with a tractor directly into your truck or trailer. 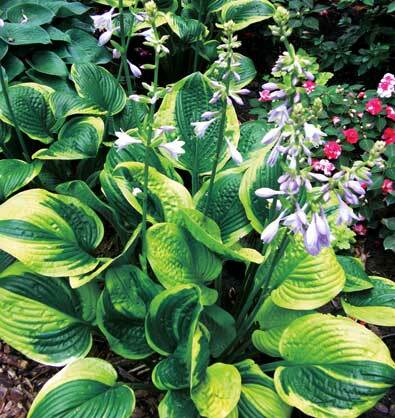 Take it home and put a 4″ layer all over the area you want to plant. 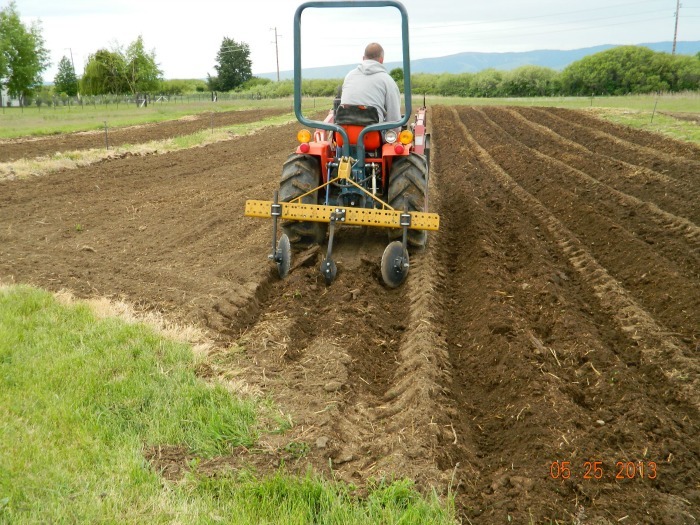 Turn in with a rototiller and you are good to go when it’s planting time. 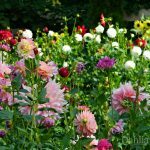 Planting your dahlias at the right time is the key to successful dahlia growing. Timing is everything in dahlias. 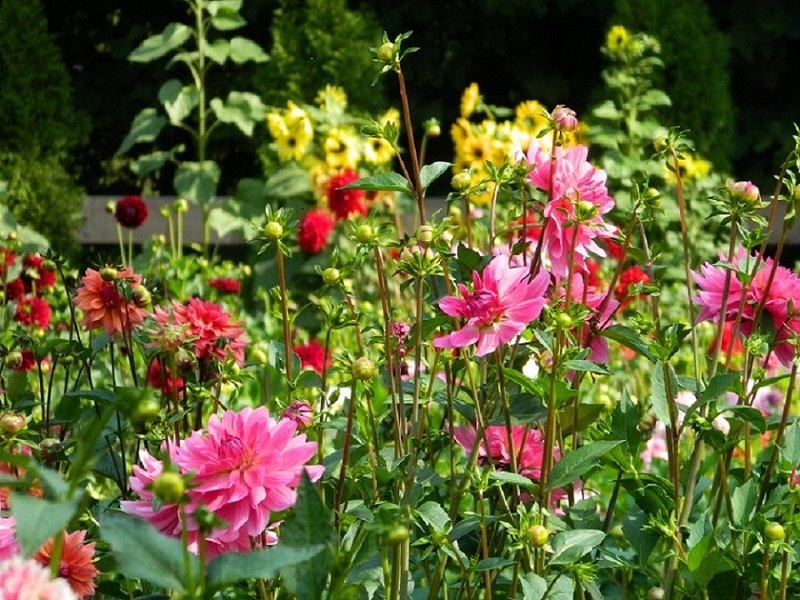 Plant your dahlias when your soil has warmed to 60 degrees and is not too wet or soggy. A good rule of thumb to follow is to not plant your dahlias until you are safe to plant your tomatoes, potatoes or corn in your area. Planting your dahlias should be one of the last of your spring plantings. The best time to test your soils nutrient levels is from February to April. Basic soil test kits tell you about N-P-K, N-Nitrogen, P-Phosphorous and K-Potassium and will measure the amount of nutrients you have in your soil. They can also tell you where your soil pH is at. The pH level in your soil is important because it can effect nutrient uptake by your plants. If the plant doesn’t like where the pH level is at, the amount of fertilizer that plant will absorb can be hindered. PH has a range from 0-14, with 7 being neutral. 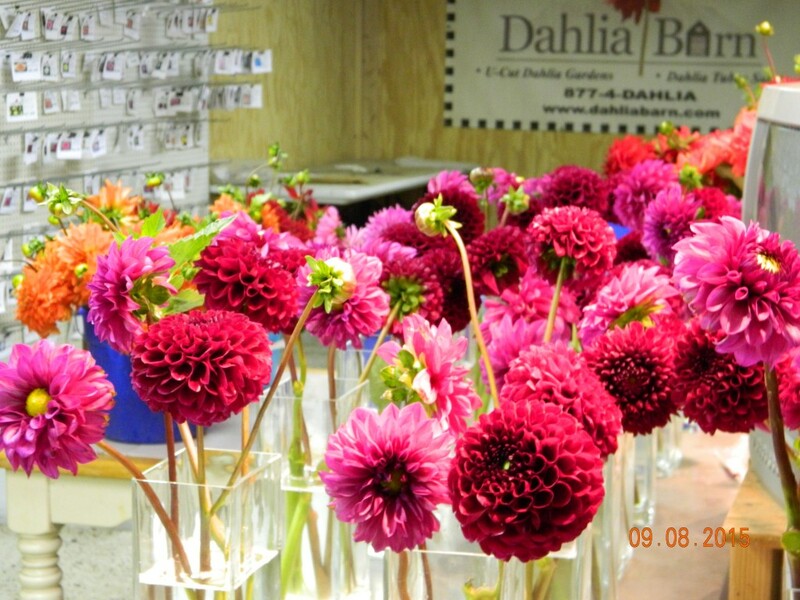 You want your soil pH to be about 6.3 – 6.8 or so for dahlias because dahlias like ‘slightly acidic’ soil. 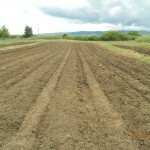 Most soils will fall between the range of 6-8. 6 would be more on the acidic side and 8 would be more on the alkaline side. Most acid soils are found by trees that drop their needles every year and cause the soil to be more acid. Soil test kits can be found at any home improvement store this time of year. Too acidic: Add Lime to raise the pH level in your soil. The pH level in the soil is what would cause a hydrangea to be pink or blue in color. 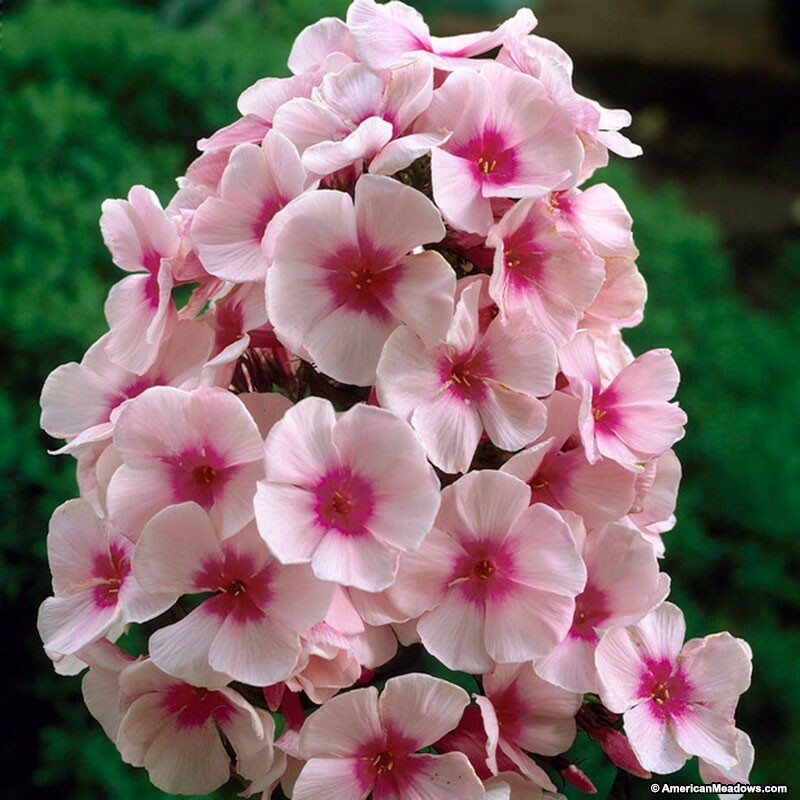 By adding lime to your soil and raising the pH, the hydrangea will be pink. 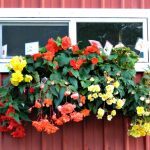 By adding ferrous sulfate (iron) and lowering the pH, this will cause the hydrangea to be blue. The process of changing the pH levels won’t happen overnight. Often it will take months up to a year to see the full results. 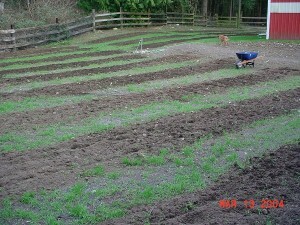 But knowing now, and taking steps to correct it will grow a better garden in the future. Try to make it a yearly chore, to test your soil. 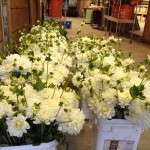 We are at full speed with shipping dahlia tubers and perennials all around the country right now. We’ve shipped the southern states and will start shipping to the central and northern United States during the month of April and we’ll continue to ship through May, no matter where you are in the country or until we are sold out for the season. 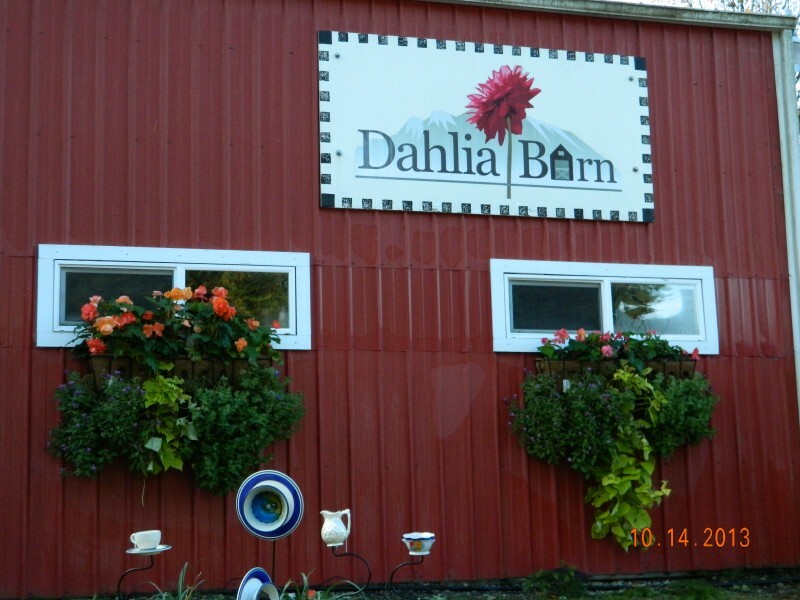 The barn will be open for Dahlia Tuber & Perennial Sales starting April 7-8, 2018 and we’ll be open every weekend in April. Hours are Saturdays-Sundays 11am – 4pm. 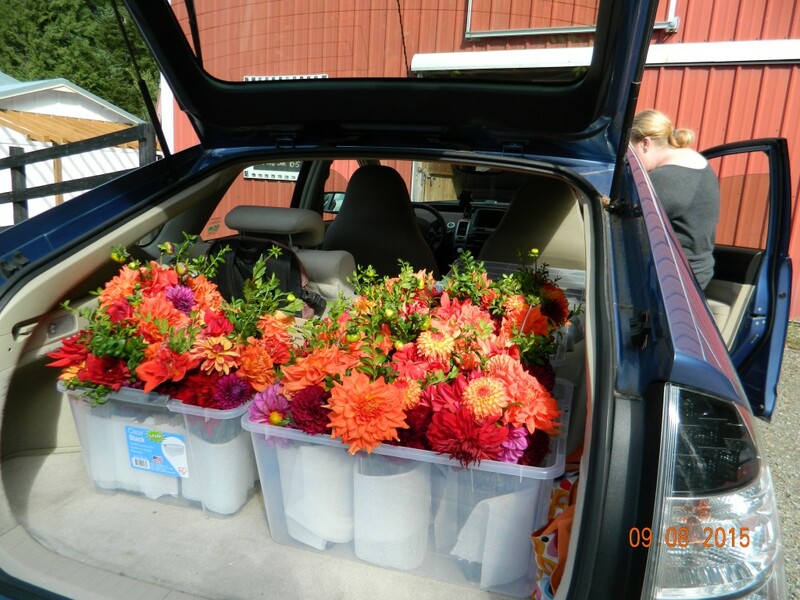 If you are within driving distance, please take a drive out some weekend in April to our barn that is loaded with dahlia tubers, plus many other bulbs, perennials, begonias, hostas, peonies, phlox and more! 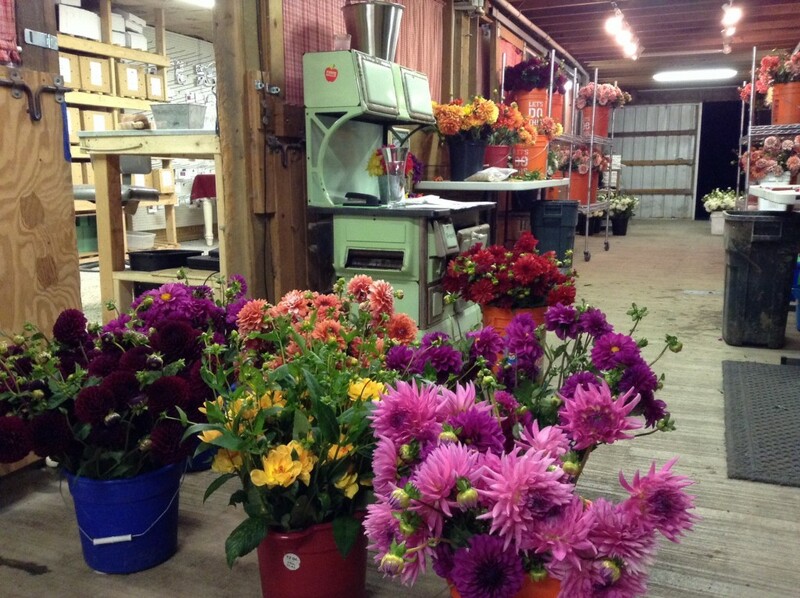 Our barn is filled with what you need to create a colorful garden. 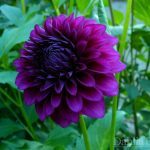 If you dug and stored your dahlias in the fall, now is the time to check on them to see how the tubers are surviving the winter season. If you have plump, healthy tuber clumps, you can divide them now or wait until planting time gets closer for dividing. 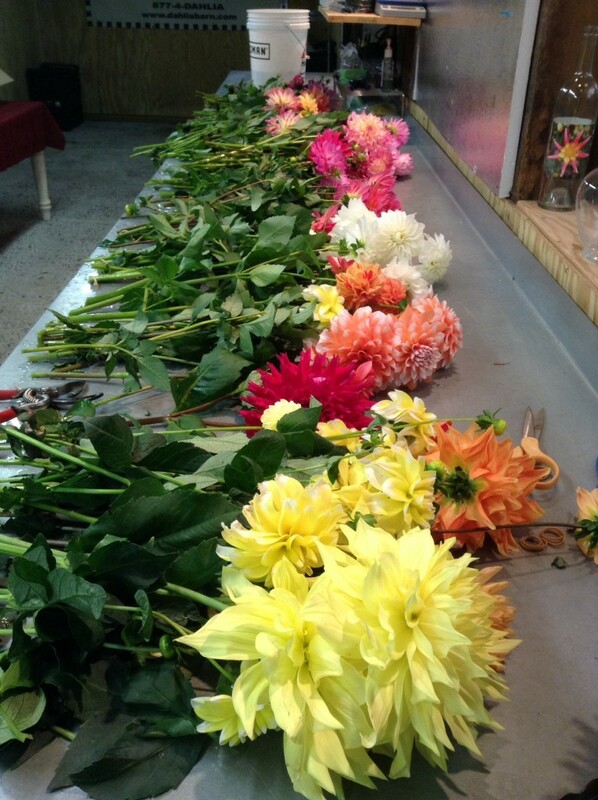 After dividing your dahlias, you want to let them sit out in the cool air for their fresh cuts to dry before putting back away into storage. 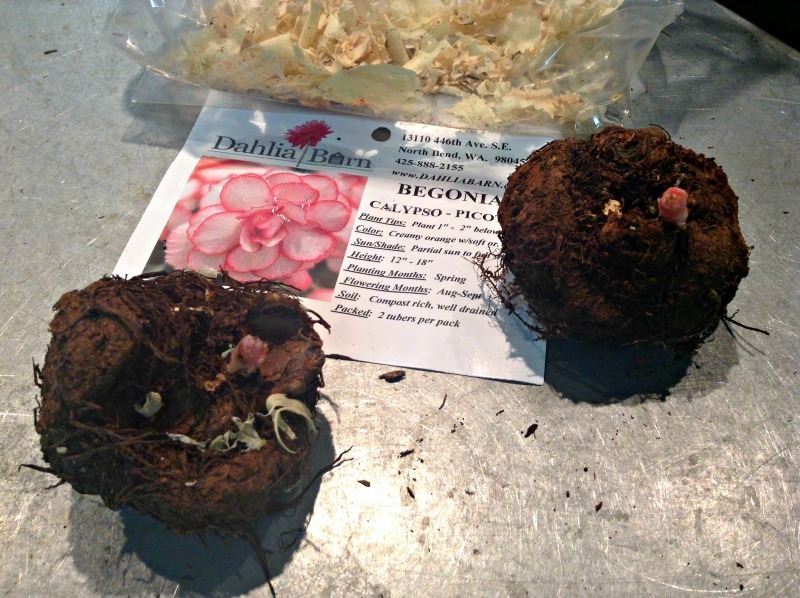 If you have clumps that are rotted, it’s probably time to start shopping for some new dahlia tubers for spring. There is no saving a rotten tuber. If they are shriveled, the humidity is low in the area they are in. If the area has a concrete floor, spray the floor down with water to raise the humidity. There is still time to save them, you can try to spritz them with water and put them back in storage. The best thing in this case, is to leave the clump intact and don’t divide until it gets closer to planting time. That will hold all the available moisture in the clump for now. 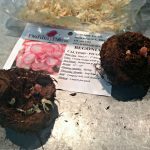 Here’s a helpful video from Dahlia Barn owner, Jerry Sherrill, on how to correctly divide your tuber clumps. Take a close look at the picture below. The black ‘craters’ or dots, are the eye of the tuber. The eyes are only on the swollen part that is attached to last years stem. If you don’t get a piece of the swollen part, chances are your tuber will not sprout because it won’t have an eye. Unlike potatoes that have eyes all over the tuber, the eyes on a dahlia is only within the swollen part that is attached to last years stem. 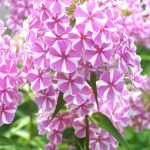 Check out our ‘Dahlia Care’ page for more information on dividing your tubers and preparing your soil for spring. 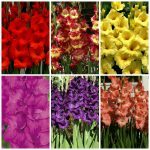 See us at the NW Flower & Garden Show February 7-11, 2018. Plant Market booth 2219. This year is the garden shows 30th Anniversary. 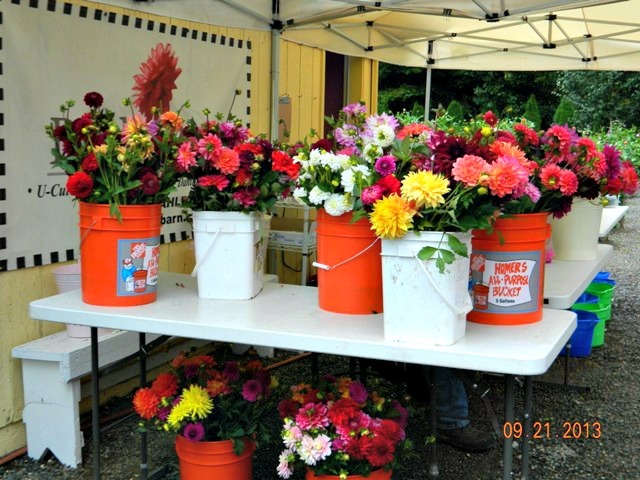 If you’re lucky enough to be within driving distance to Seattle, and want to see thousands of flowers in bloom, shop for plants and bulbs from the best NW growers or want to do a landscape project, it’s the perfect place for inspiration and ideas. 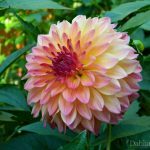 Now is the best time to place your dahlia order for Spring 2018. 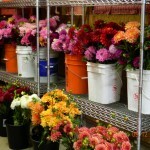 We specialize in dahlias that will make outstanding cut flowers for your garden. 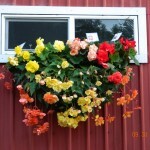 We also have a wide range of begonias, gladiolus, phlox, peony and more! Check out our ‘Online Catalog’ at the top of the website. 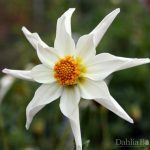 Now that dahlia season is done, its time to dig up your dahlias and store them over winter, if you live in an area that has harsher, freezing winters. 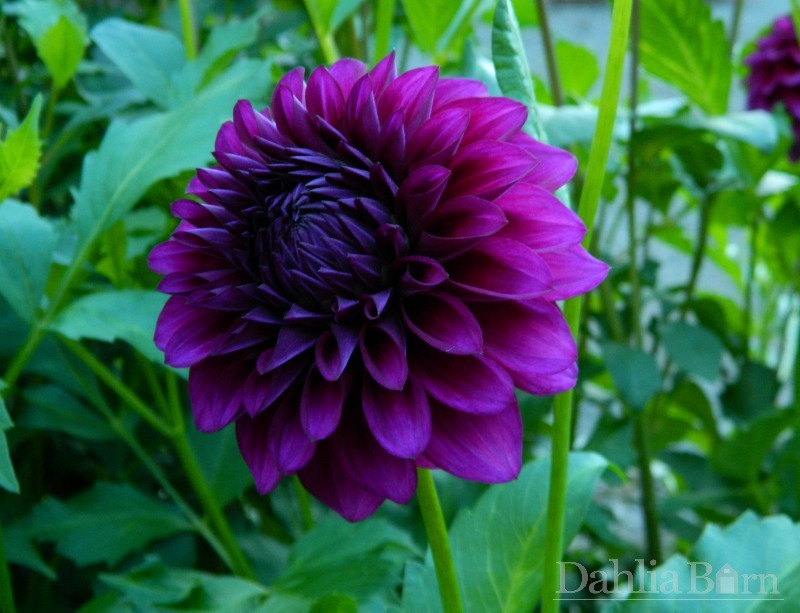 By mid November, if you haven’t had a freeze, it is safe to dig up your dahlias at this time. 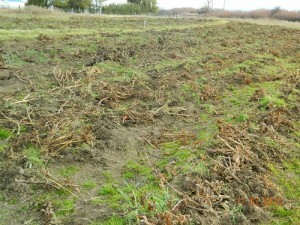 If you live in an area that does NOT have harsh, freezing winters you may be able to leave your dahlias in the ground. 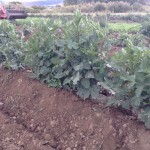 In mid November, cut the stalks down low enough to the ground to where the stalk is not hollow. This will keep the water from getting into the hollow stalk and freezing, and re-freezing your dahlias. 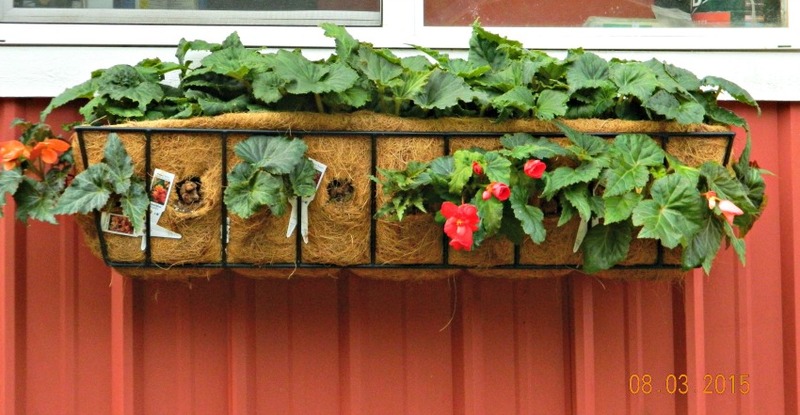 Add a layer of mulch such as straw, grass clippings, leaves or compost to insulate the ground. Remove the mulch in March so the soil can begin to warm up. Use a digging fork, pitch fork, shovel, whatever works best for you. 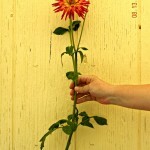 Start back about 12″ from the stalk and start to dig, working your way around, get under the dahlia clump and lift up. Tap off the dirt with your shovel, do not rinse your dahlias. 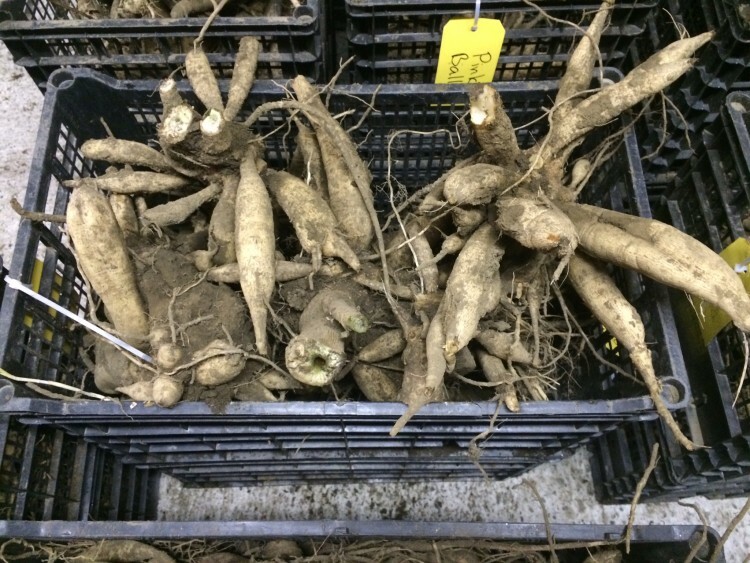 We find that it’s rinsed tubers sometimes have a tendency to shrivel in winter storage and it’s extremely difficult to get them dry enough before storing for winter. 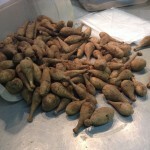 If your dahlia tubers are wet, they will rot and there is no saving a rotten tuber. Make sure they are dry before they go into storage. Tap the dirt off the clump, do not rinse. 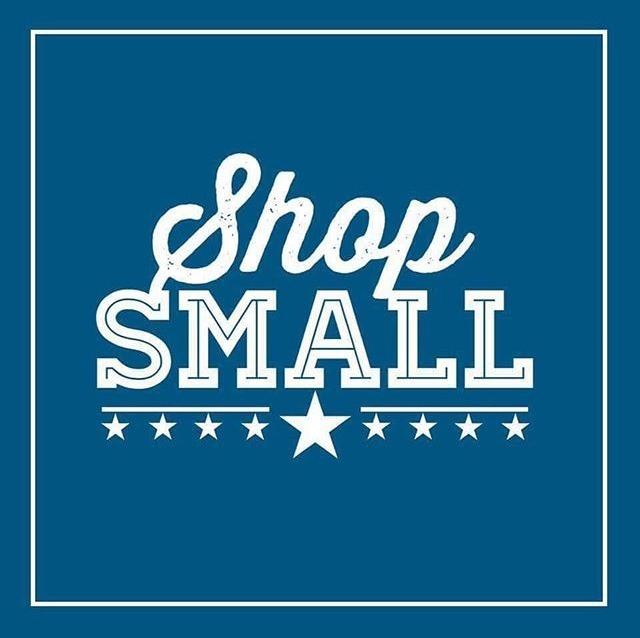 We are having our Annual Shop Small Sale – The entire website is 15% off now through Cyber Monday. We hope you had a successful dahlia harvest in 2017. Thank you! 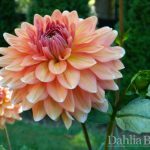 Now that summer is in full swing, here are some tips on dahlia care including watering, fertilizing, pinching and staking your dahlias to keep your dahlias blooming strong. 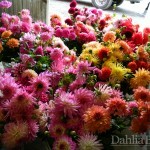 Your dahlias will bloom into October, or until you get a frost in your area. Deep soak your dahlias 2-3 times per week this time of year. 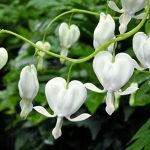 They need a lot of water right now to continue to grow properly, and it’s hard to overwater them when they are about to bloom and are in bloom. Hand watering is never enough, deep soak with a soaker hose for at least 1 hour in your dahlia bed. If you have an irrigation system, a deep soak 2-3 times per week is better than a short soak every day. For us this time of year, watering schedules are almost changed on a daily basis. How’s the soil? To dry in this area, turn the irrigation up. Too moist in that area, turn the irrigation back. It’s a constant dance. 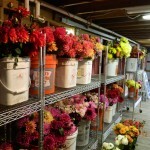 Now is a good time to give your dahlias one last fertilizing. Use a granular fertilizer with a ratio as close to 5-10-10 as you can find. 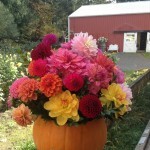 Do not fertilize after August 15th, the dahlias won’t have enough time to absorb the fertilizer completely. 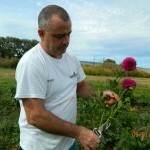 Dahlia Barn owner Jerry Sherrill shows us how to properly pinch your dahlia plants. choose not to stake, be sure to pinch like the example above. This will keep your plant from getting too tall and falling over. 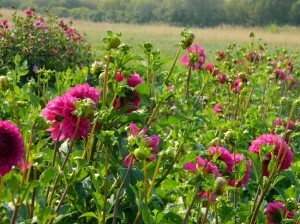 If you have many dahlias, and easy method for staking is to move towards planting in straight rows. 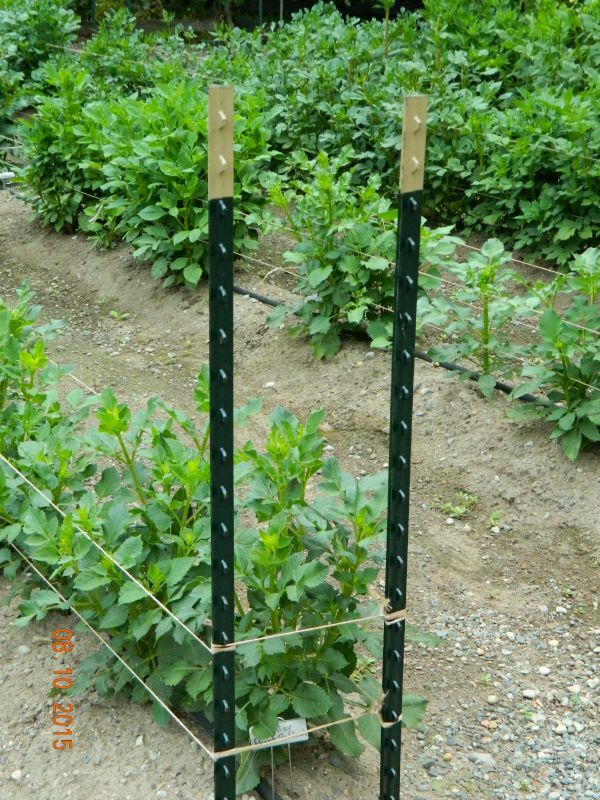 This way you can place 2 – t-posts at the end of each row and run twine between the stakes horizontally. 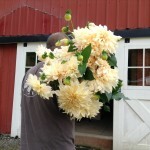 We usually will wait until the dahlias are a couple feet tall, then run the bottom string, like in the video above. As they continue to grow, we’ll run the 2nd and 3rd string. 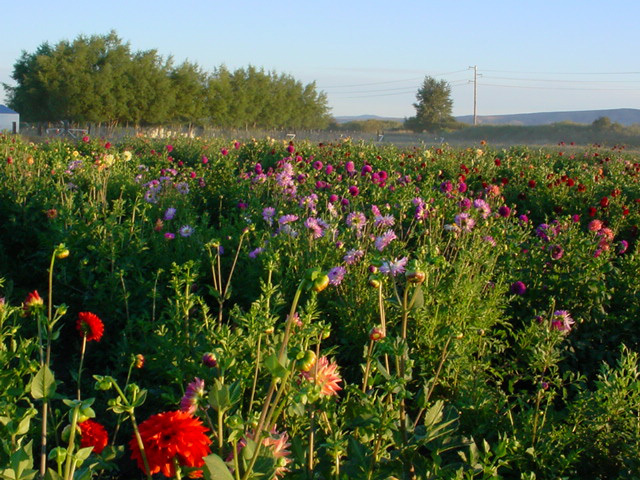 This gives insurance that a random wind or rain storm in September and October will not topple the dahlia plants. But that only happens ONE time, never again. This is the time of year where everything is about plant health and farm management. 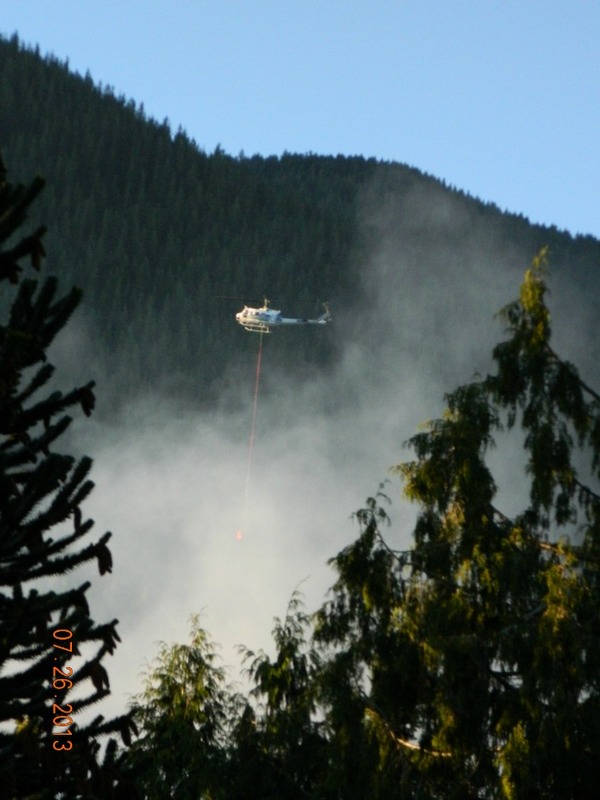 Keeping weeds down, checking irrigation, mowing, it’s all about what we do right now. We do everything we can do to get the best, most productive crop possible. If something doesn’t grow, we’ve wasted all that time, watering, soil building, weeding, and planting of that tuber. Watering schedules are almost changed on a daily basis. How’s the soil? To dry in this area, turn the irrigation up. Too moist in that area, turn the irrigation back. 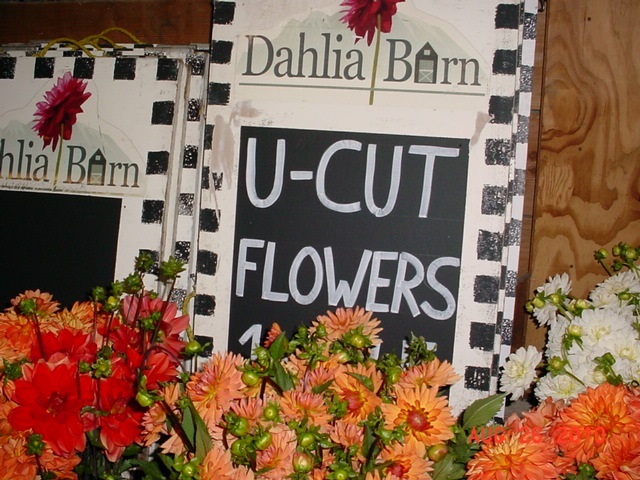 We will soon be in our cut flower season here at Dahlia Barn! 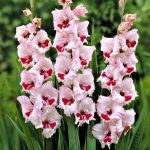 Need flowers mid-August through mid-October! 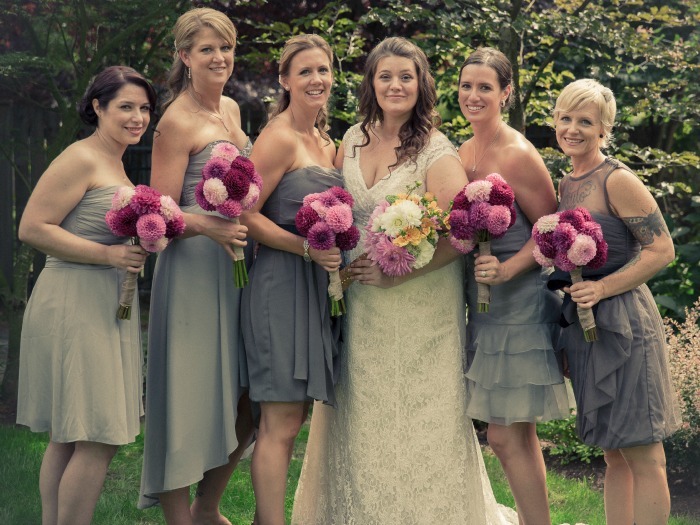 Call us and we’ll set you up with the most gorgeous dahlias! 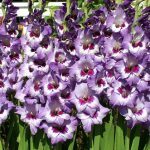 See our ‘Cut Flowers’ page for more information. We are preparing to open up to the public during September. Sept 8th-10th – Sept 15th – 17th – Sept 22nd – 24th – Sept 29th – October 1st. Free Admission. 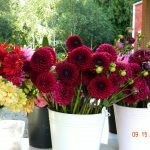 Drive out to our farm and see the dahlias in bloom, shop for tubers for the 2018 season, mini dahlia show in the barn and take home a fresh bouquet. 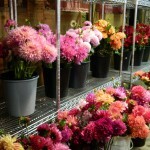 You’ll get the best selection of dahlias for spring if you place your order between now and early fall. 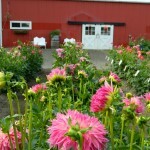 Spring is here and soon it’ll be time to plant your dahlias! The first step in a successful garden is soil. It’s all about the soil, because plants are only as good as the soil they are planted in. Growing great gardens takes a lot out of the soil, and it’s important that we put that nutrients back into the soil year after year. 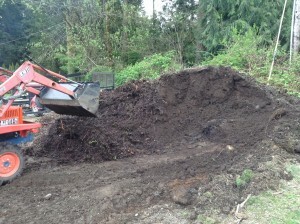 Add a 4″ layer of compost to your planting beds as a first step. 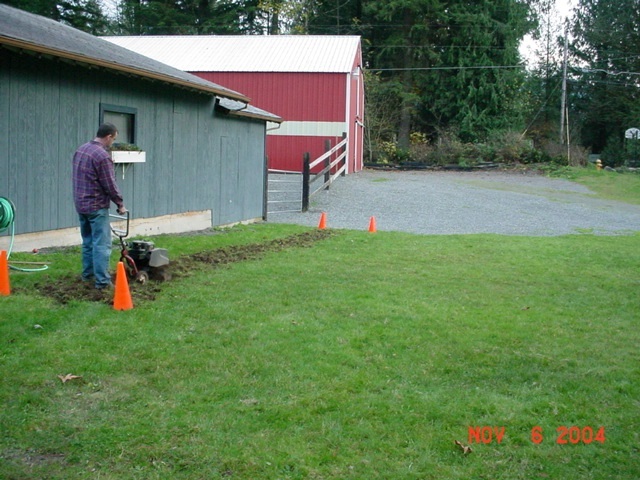 Then till or work in with a pitchfork to mix the compost and the native soil together. 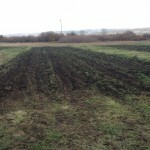 This will drive the nutrition back into your soil that was depleted from last years garden. The biggest contributor to a healthy garden is without a doubt, compost. Compost improves the soil in so many ways, it adds organic matter to make the soil softer, allows it to drain better, adds oxygen to the soil by improving drainage and attracts beneficial insects, worms and micro-organisms to you soil. 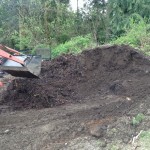 Compost also has nutrients in it that gives both the plant and the soil what it needs. The benefits of compost is endless, but too much is not a good thing either. Your plants don’t like to grow in straight compost, they need the micro-nutrients that comes from your native soil as well. 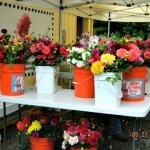 Space your dahlias 18″ – 24″ apart, 12″ for a fuller, more grown together look. 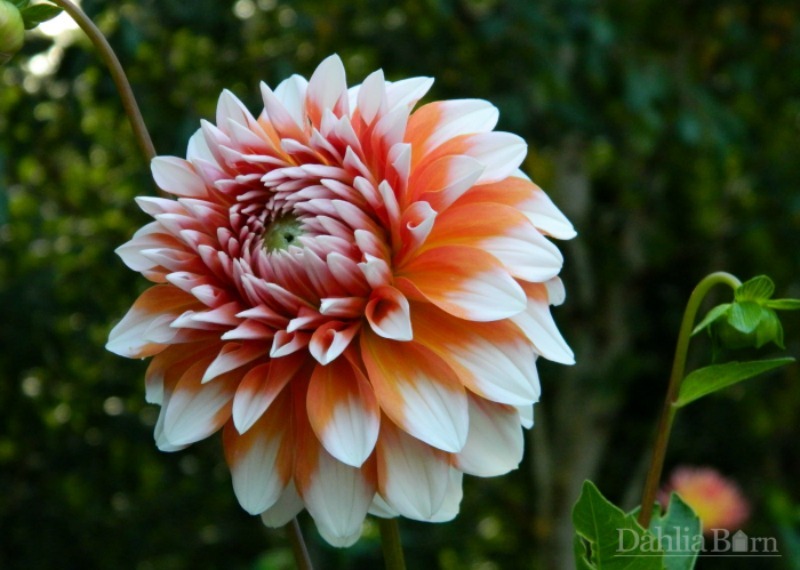 Lay the dahlia tuber on its side (flat), about 4-6″ deep with the eye of the tuber pointing up. 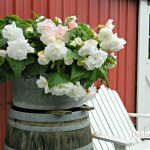 Do NOT water at planting time, during normal springtime rainfall, the soil has enough moisture to fulfill the dahlias needs until it has sprouted above ground. 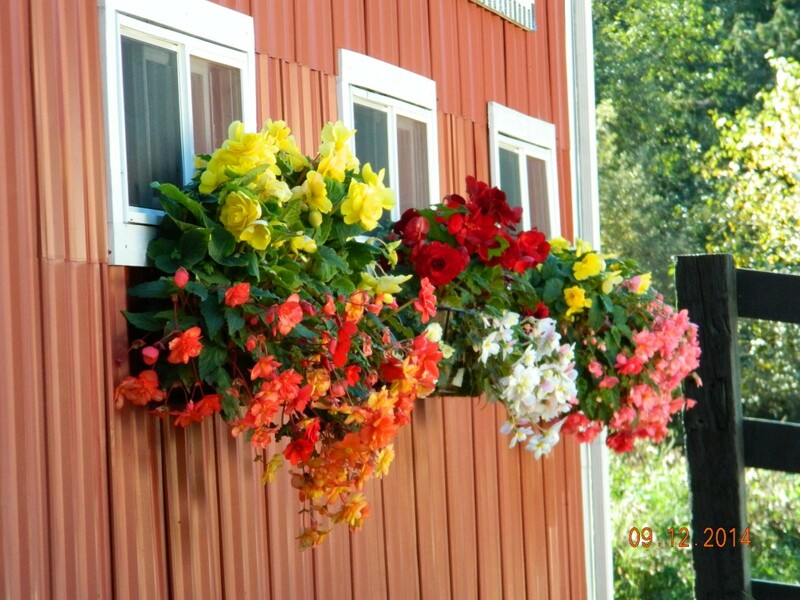 An exception would be dry climates where the soil would need to be moistened for planting. 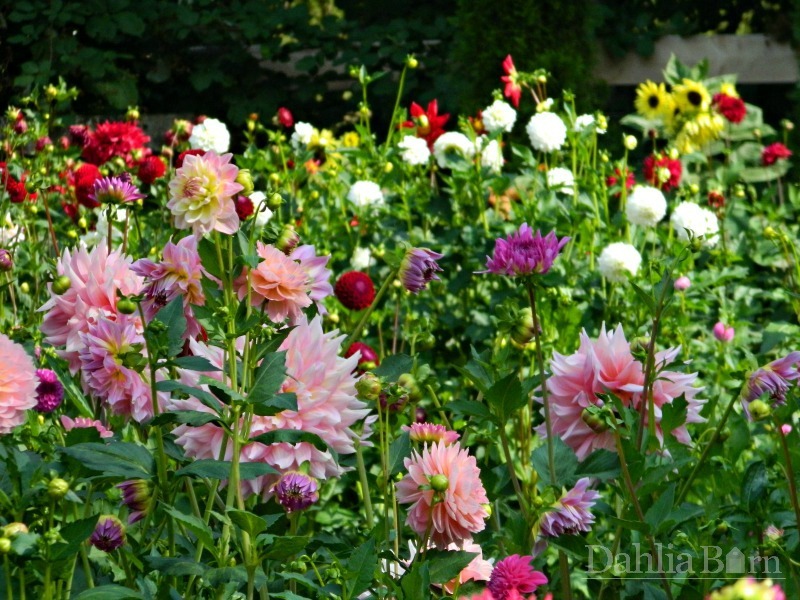 Planting your dahlias at the right time is the key to successful dahlia growing. Timing is everything in dahlias. Plant your dahlias when your soil has warmed to 60 degrees and is not too wet or soggy. A good rule of thumb to follow is to not plant your dahlias until you are safe to plant your tomatoes, potatoes or corn in your area. Another good rule, is when night time temperatures are consistently above 50 degrees, you are safe to plant. 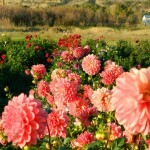 Planting your dahlias should be one of the last of your spring plantings. Basic soil test kits tell you about N-P-K, N-Nitrogen, P-Phosphorous and K-Potassium and will measure the amount of nutrients you have in your soil. 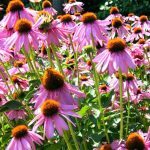 About 5 years ago, we branched out into perennials and set out to find the best growers of other plants that were available in the United States. 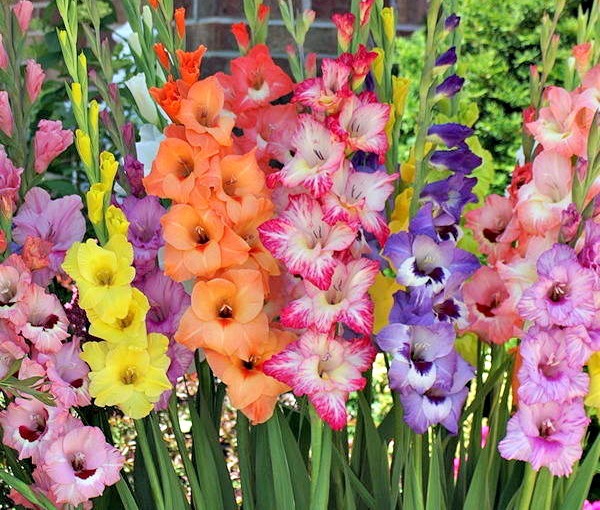 We work with the largest gladiolus grower in Michigan that provide us with these gorgeous gladiolus. We’re clearing out our remaining stock. Regular price is $3.95 / 5 bulbs. 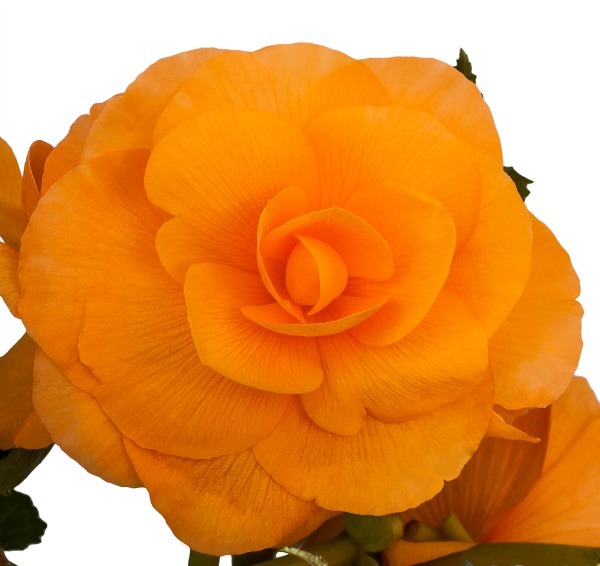 We work with Golden State Bulb in California for our begonias. 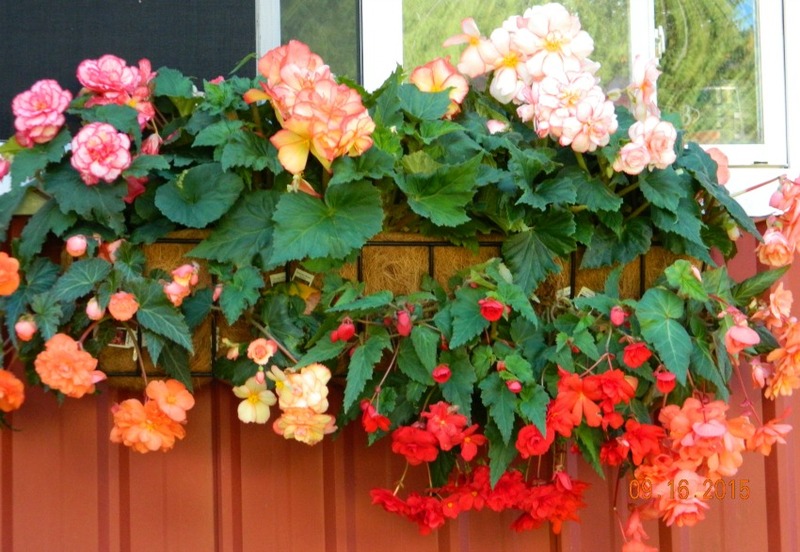 Many people will remember the famous “Antonelli Brothers Begonia Growers”. They were a long time family farm that was in business for years and years. 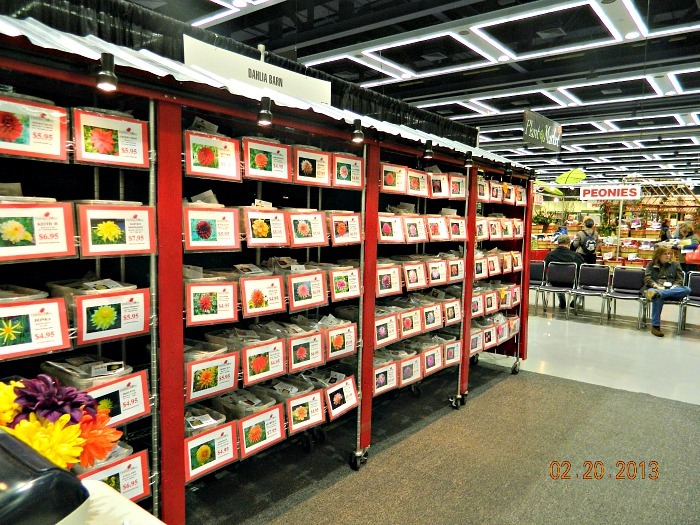 We remember the nice, sweet son from Antonelli Brothers used to be at the NW Flower & Garden Show in Seattle every February. 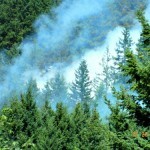 They unfortunatly had a tragic fire at their farm several years ago, and they were unable to recover from that loss. But, Golden State Bulb stepped in to help them recover their stock and retire from the business. 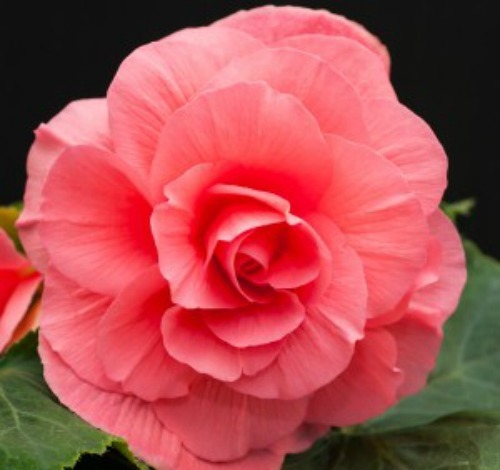 The begonias we carry are direct decendents of the World Famous Antonelli Brothers Begonias. 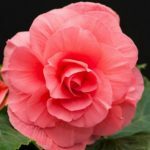 They are the best begonias on the market today. 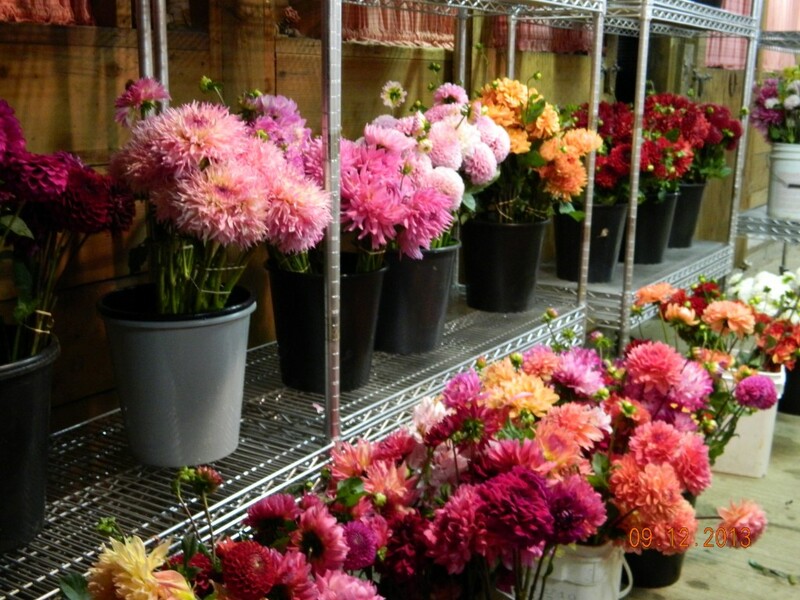 Let Mother Nature do her work and let your dahlias freeze in the garden. Don’t cut them down, leave them intact and wait for the freeze. Wait at least one week after a freeze to dig your dahlias. Why don’t I cut them down yet? It’s best to leave the stalk intact and do not cut down if they have not felt a freeze yet. When you cut into a dahlia stalk, you will see that the stem is hollow. If water gets into the stem and freezes, then refreezes it can damage the tubers. It’s best to leave them intact and sealed up so that doesn’t happen. 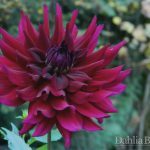 The challenges with dahlias is that they need to feel a freeze in order to properly end the season and cure their tubers. When we let our dahlias freeze in the fall, that tells the plant, “OK, it’s time to go to sleep for the winter.” Then the stalks turn black, the energy is returned to the tubers and the tuber skins begin to thicken as the tubers are preparing themselves for winter. It’s risky to dig your dahlias before a freeze. Dahlias dug too early have thin skins and typically do not survive the winter. 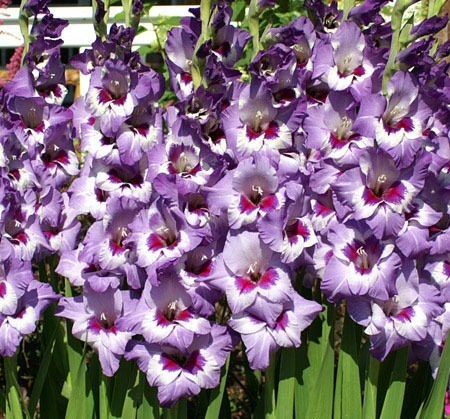 They may look alright now, but usually by spring, they have shriveled to an unusable tuber. We always advise to NOT RINSE your tubers with a spray hose, just tap the dirt off. We see many websites that say to rinse your tubers and we do not agree. 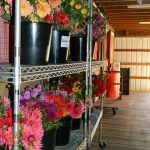 Rinsing makes it incredibly difficult to get them dry enough for winter storage, which is a key factor in getting your dahlias to survive winter storage. If they are wet, they will rot ! And there is no saving a rotten tuber. Some parts of the country have received the first freeze, while in other parts of the country or the state, the freeze has not arrived yet. We experience this with both our farms. Our Central Washington farm in Thorp got it’s first killing frost on October 12, and we’re going to begin the harvest there this week. 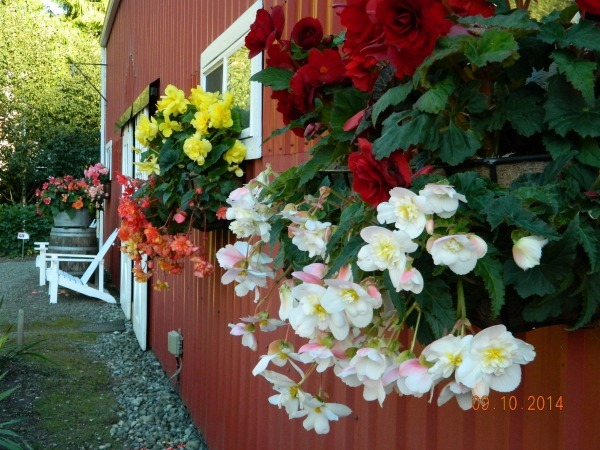 Our Western Washington farm 30 miles east of Seattle, has a much milder climate and is still blooming, although the flowers are looking really tired. We’re just waiting for a freeze to harvest here in North Bend. Make sure they freeze in the garden. Once dug up, make sure they never freeze wherever they are stored. An attached garage is usually pretty safe. Unheated outbuildings typically will freeze and wouldn’t be a good choice for storage. Make sure they are dry before they go into storage. Store in clump form or divided loose in paper bags or cardboard boxes lined with newspaper in warmer, more humid climates. If you don’t wish to dig your dahlias, that’s ok too. 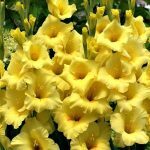 For some people that just have a few growing in their yard and they are not too thrilled with the idea of digging, we always say, “Well, cut them down after they have frozen, mulch them, if they come back, Great! 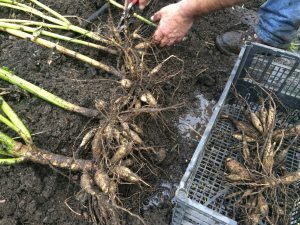 if they don’t, oh well just get yourself a few new tubers.” Sometimes it’s more work that just picking up $25-$35 worth of tubers in the spring. 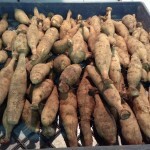 NOW IS THE BEST TIME to order tubers from our farm. 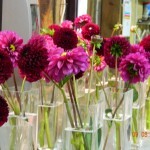 Now is the time of year when you get the best selection of dahlias before we begin to sell out in early winter. 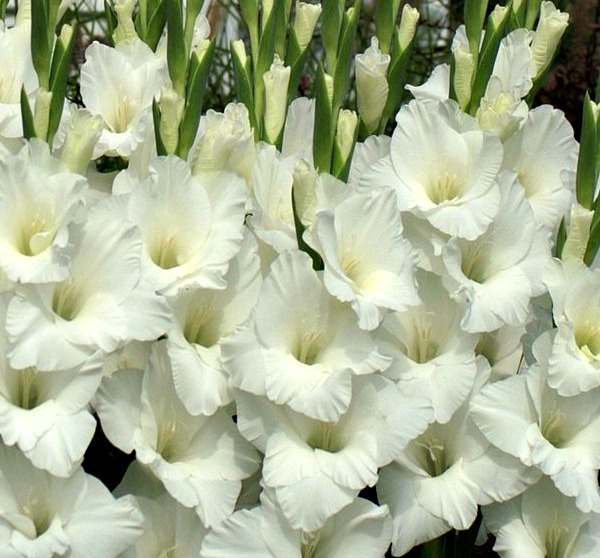 We have lots of new varieties on the website this year, but some are very limited in stock. Thank you. 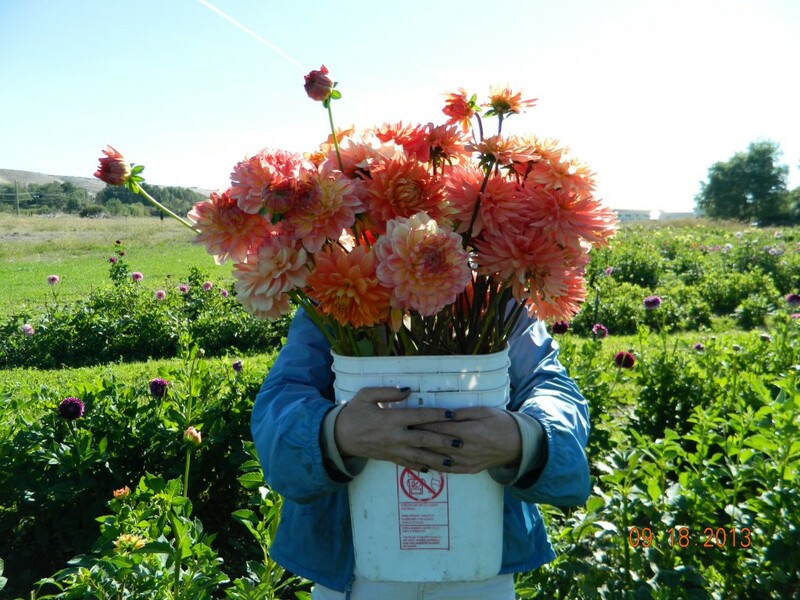 We hope you have a successful dahlia harvest in 2016. 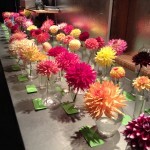 Spring is here and soon it’ll be time to plant your dahlias! Yeah! What can we do now to give our gardens the best shot possible for success? The first step in a successful garden is soil. It’s all about the soil, because plants are only as good as the soil they are planted in. Think of your soil as a living, breathing organism that like all of us, needs to be nourished, fed, loved and needs a little attention now and then. 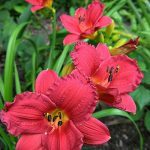 Growing great gardens takes a lot out of the soil from year to year, and it’s important that we put that nutrients back into the soil from year after year. PH has a range from 0-14, with 7 being neutral. 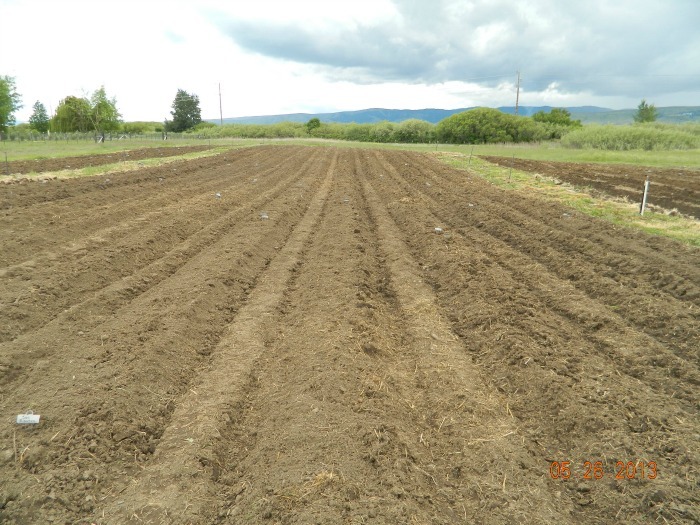 Most soils will fall between the range of 6-8. 6 would be more on the acidic side and 8 would be more on the alkaline side. 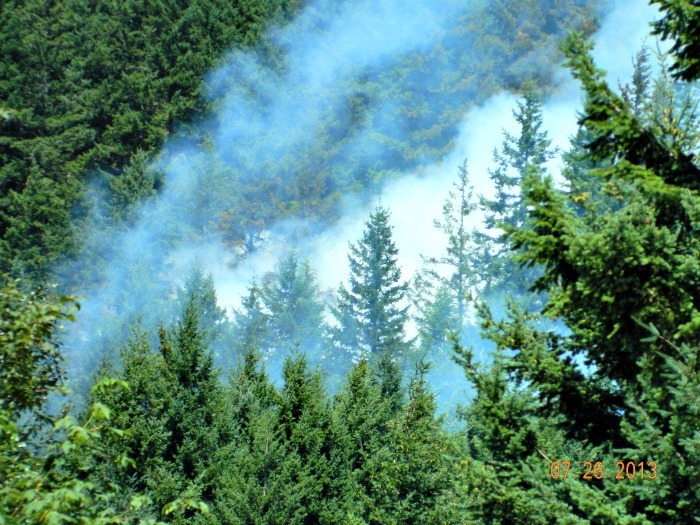 Most acid soils are found by trees that drop their needles every year and cause the soil to be more acid. Soil test kits can be found at any home improvement store this time of year. They range in price from $10-$15 and provide a lot of valuable information as to where your soil might be lacking in nutrients. You can also contact your county extension office, they will often test your soil for free if you send them soil samples. Ideally for dahlias, you want your pH to be slightly acidic and fall somewhere in the range of 6.5 – 6.8 and your Nitrogen to be the low. Too much nitrogen in the soil will create a lot of foliage, but not a lot of bloom. We recommend using a granular fertilizer with a 5-10-10 ratio or as close to that number as you can get. Fertilize once when you plant and again 30 days later. Dahlias are pretty low feeders, it’s the watering that will create the best blooms. Don’t fertilize your dahlias after August 15th as well. They won’t have enough time to absorb it before the harvest. A soil thermometer is a valuable tool. Take the soils temperature and plant when the temperature reaches 60 degrees. 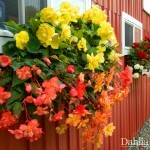 At that point, your safe to plant your dahlias and any other warm season crop like tomatoes and potatoes. 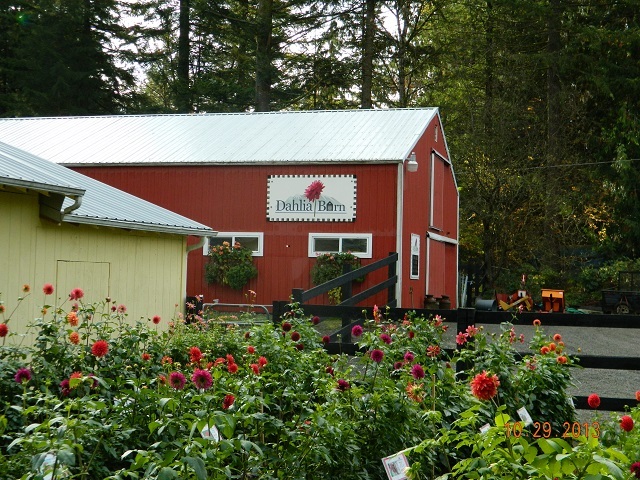 Our Barn is Opening for Dahlia Tuber / Perennial Sales on April 16-17, 2016 and will be open every weekend through the middle of May or until we are sold out. 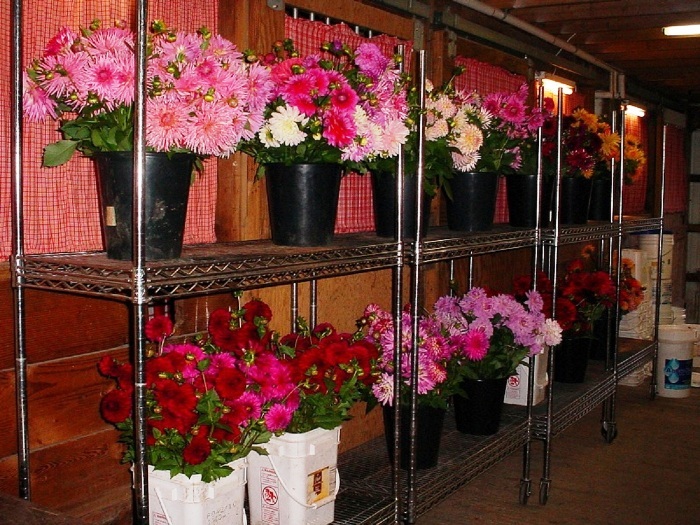 Customers who placed tuber orders during the Flower Festival, can also pick up any weekend our barn is open from April 16th-17th through May. We’ll send you a reminder email as well. The barn will be loaded with all our reliable, favorite dahlias and the best producers we grow. 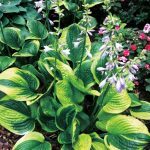 Tons of Perennials like tuberous begonias, hostas, daylily, gladiolus and more. 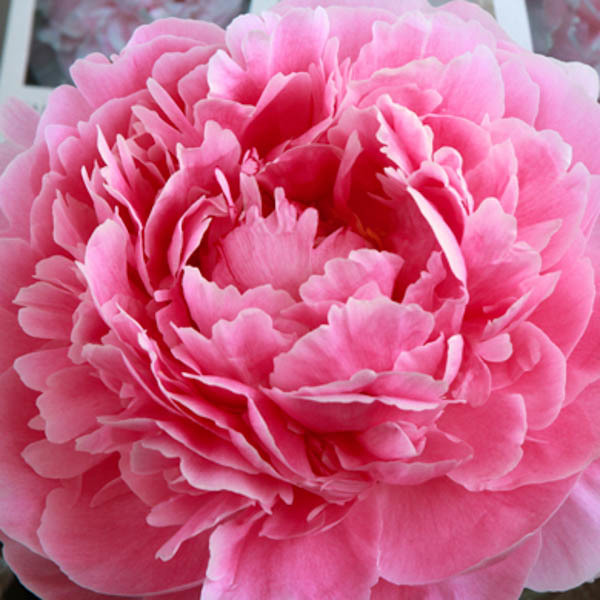 Online customers – we have a great selection of dahlias and perennials. 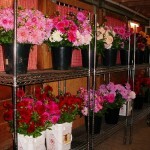 We’ll continue to ship through May or until we are sold out of our dahlia tubers and perennials for the season. We’re shipping to the south and central US now, northern US starts shipping mid-April. 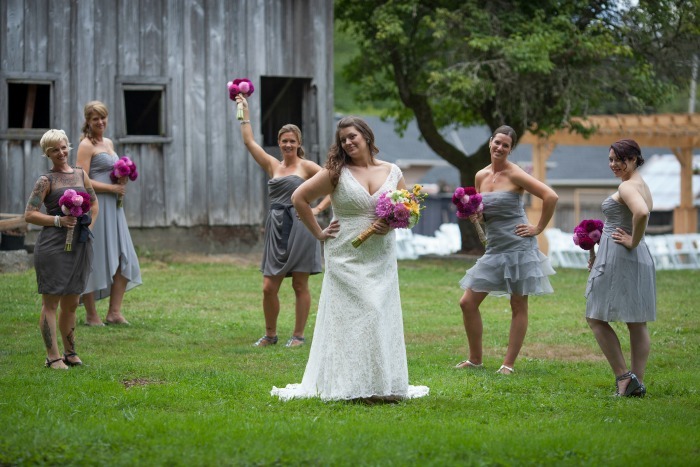 We’ll end with a few of our favorite farm shots last year ! 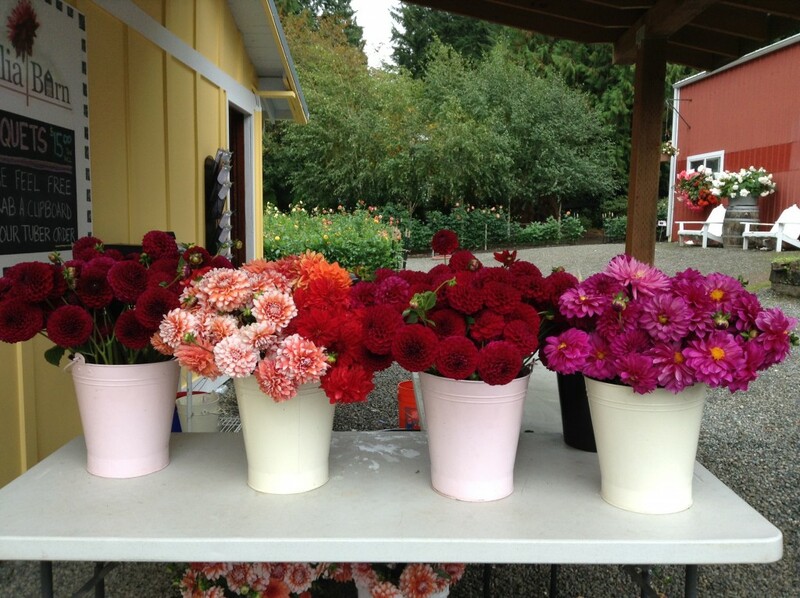 We hope everyone had a great growing season and your dahlias gave you armloads of blooms all season. For most parts of the country, we have reached the time of year where it’s time to dig and store your dahlias for winter. The calendar says we are still in the fall season, but winter conditions will hit hard over the last couple weeks. 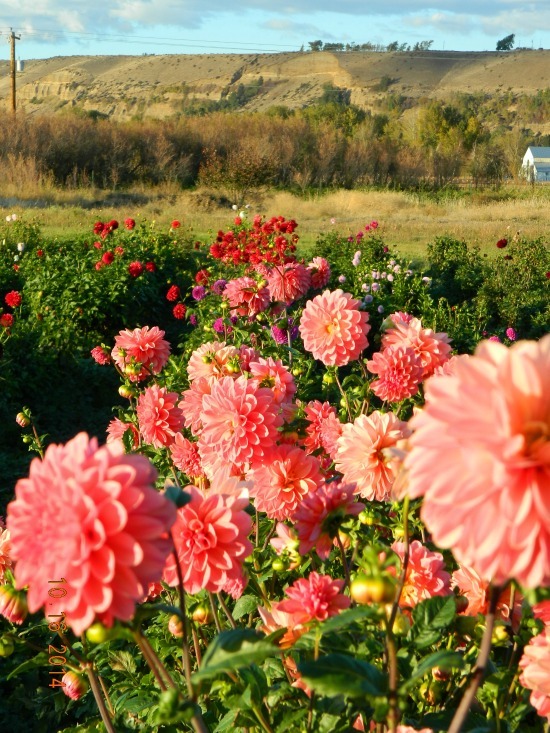 In areas of freezing winters, dahlias typically will not survive frozen soils or soggy soils. 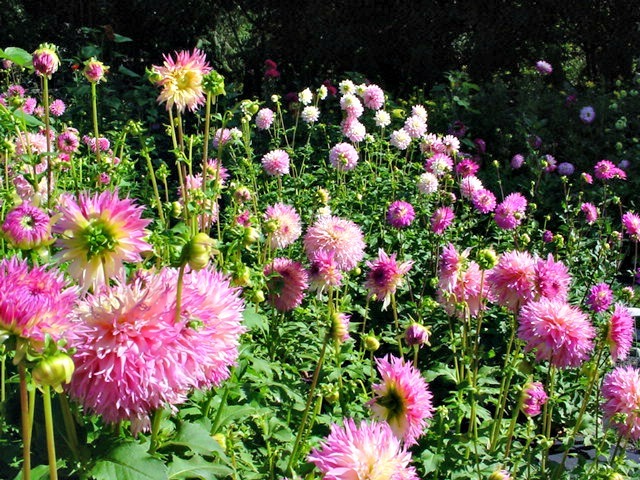 To protect your dahlias, it’s best to dig in the fall and store for winter. The challenges with dahlias is that they need to feel a freeze in order to properly end the season and cure their tubers. When we let our dahlias freeze in the fall, that tells the plant, “OK, it’s time to go to sleep for the winter.” Then the stalks turn black, the energy is returned to the tubers and the tuber skins begin to thicken as the tubers are preparing themselves for winter. If you haven’t had a freeze, you’re safe to dig by the middle of November. 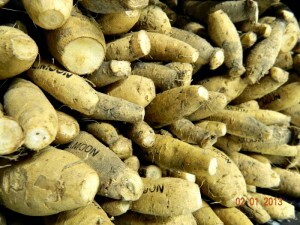 They have felt enough cold now and the skins of the tubers have thickened. Dig your clump out of the ground with a shovel or a pitchfork. 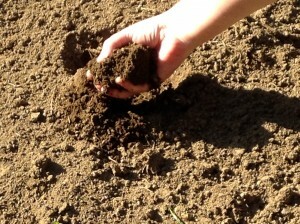 Lift the clump out of the soil and tap the dirt off, most of the dirt will fall off. 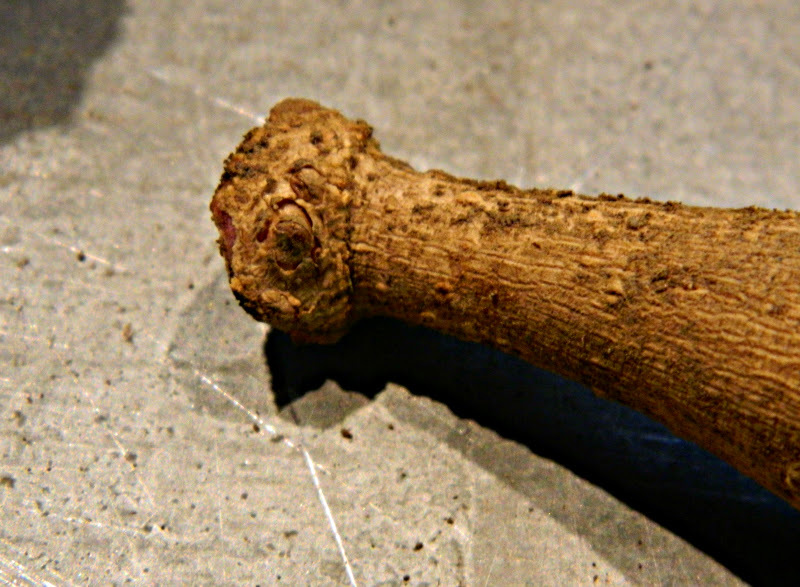 If it’s still clumped on the tuber, set aside for a few days to let dry, then tap again to remove most of the soil. If there still is some soil remaining on the tuber clump, that is OK. It will provide the clump with some moisture and humidity for storage. We’ve just completed our harvest and are happy to report it was outstanding this year. We were lucky enough to miss the weather. Above you will see the flooded garden picture, we received massive rains just a few days after we finished digging. 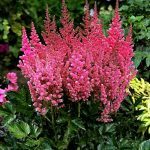 Make sure they freeze in the garden and the stalks turn black before they are dug up. During this time, the skins are thickening and they are preparing themselves for winter. Dahlias dug too early typically will not store over winter. Store in clump form or divided loose in paper bags or cardboard boxes lined with newspaper. Cardboard box lined with newspaper, add a layer of peat moss, add a layer of dahlias, another layer of peat moss, etc until the box is full. This can give you an added layer of protection from freezing and keeps humidity higher. 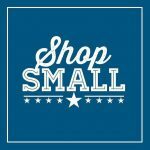 15% off Sale – Small Business Saturday to Cyber Monday. The entire website will be 15% off. We rarely ever have sales, this will be the only one of the entire year !! We hope you have a Happy Thanksgiving. 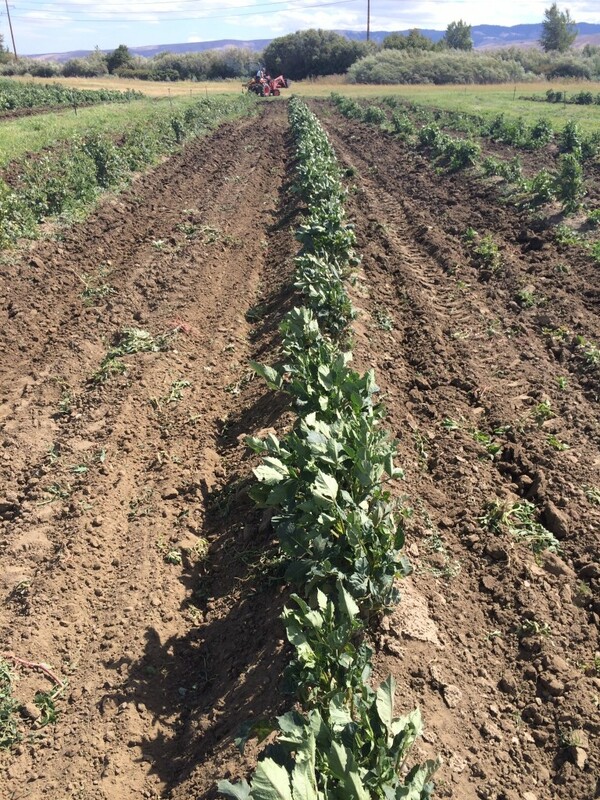 We leave you with a few of our favorite pictures from our 2015 farming season ! 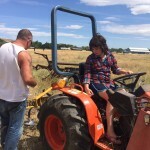 Farmer Jerry. Why do I even try to take a selfie ? 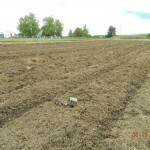 fertilizer that is already in the ground and prepare themselves for winter. 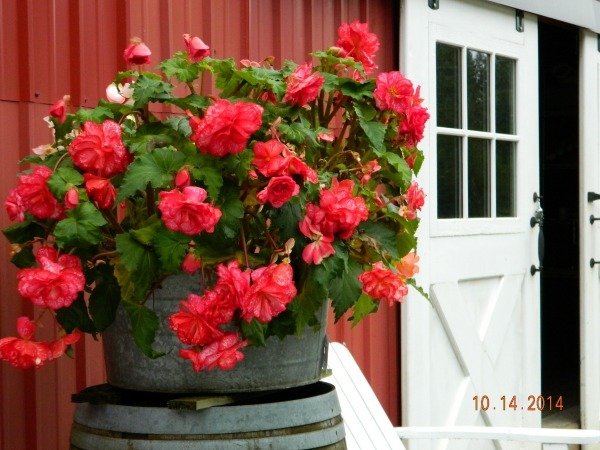 2-Water Water Water – Fertilizer makes foliage and water makes blooms. It’s hard to ‘overwater’ them when they are at this late summer stage. A deep soaking 2-3 times per week will keep them blooming well into fall. 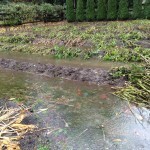 Be sure that you are soaking the ground long enough so that the water is reaching the tubers. We find a 1 hour soak with a soaker hose is the most effective. Hand watering is never enough. 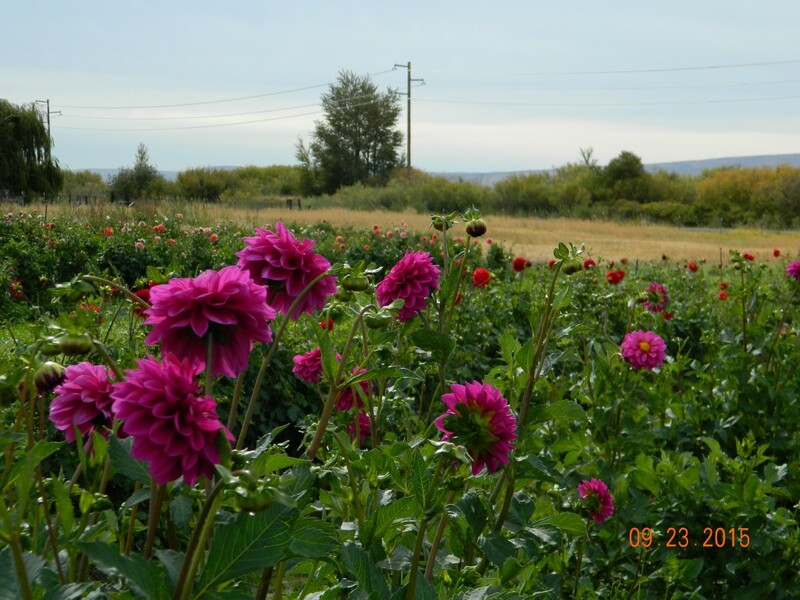 3-Stake for fall rains – Especially for dinnerplate dahlias. 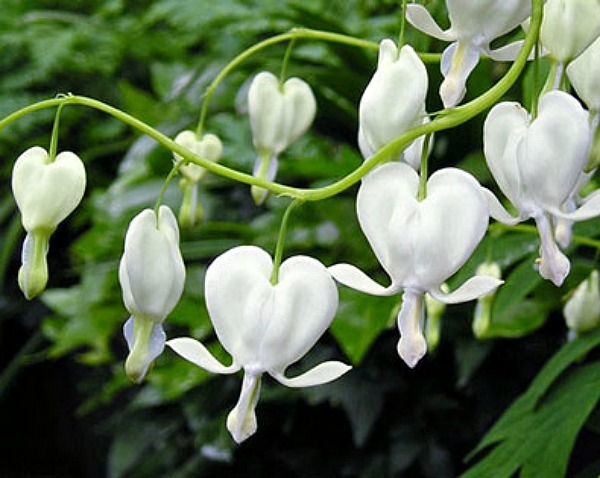 The blooms are so large and when they capture water, the weight can be too much and they can bend, break and topple over. 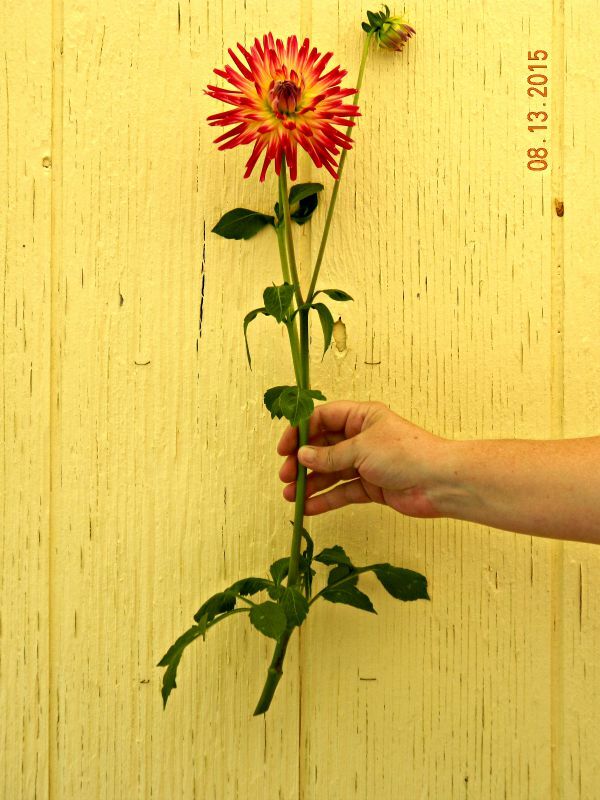 Place your stake about 1 foot away from the dahlia stalk. Giving that space will insure that you don’t damage the tuber clump underground. 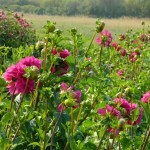 4-Weed management – Keep the weeds down so they aren’t competing with your dahlias for water and nutrients. 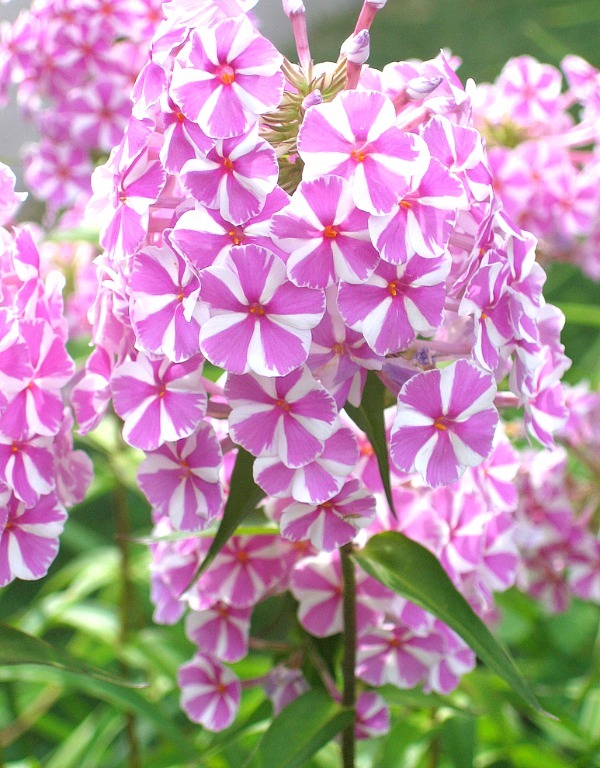 5-Cut the flowers – cut them, the more you cut them the more they will bloom. And cut long stems !! Our advice is to cut nothing shorter than from your elbow to the tips of your fingers, even if it means taking the side buds. 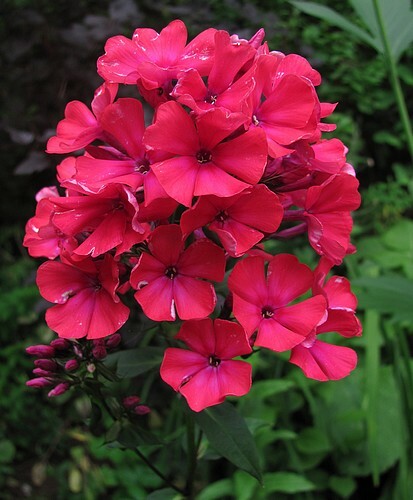 Those side buds most times, do not make good cut flowers and are weaker than the center flowers. 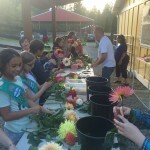 Cutting down on the plant will promote more growth and more blooms. 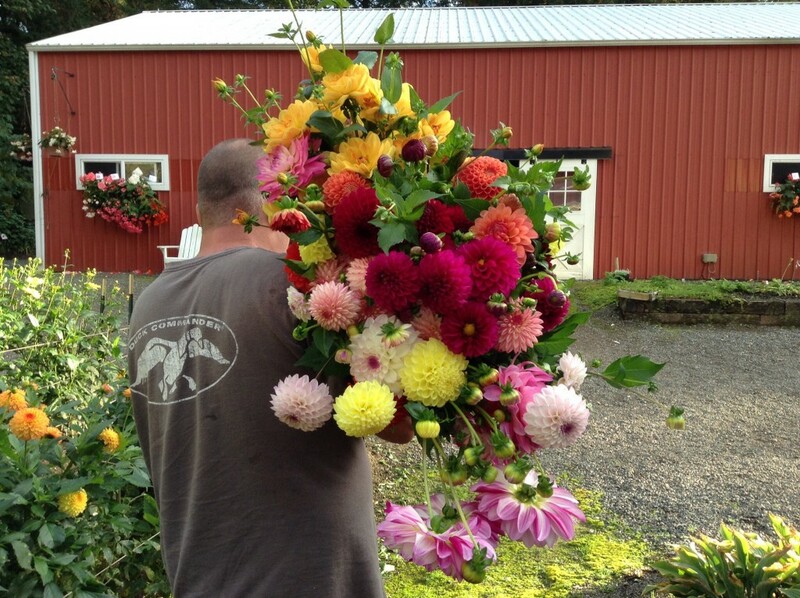 Dahlias are work horses !! Cut long stems to promote growth. So get out there and cut your flowers !! Enjoy these beauties and the fruits of your labor while we are still in season !! Winter will come soon enough !! 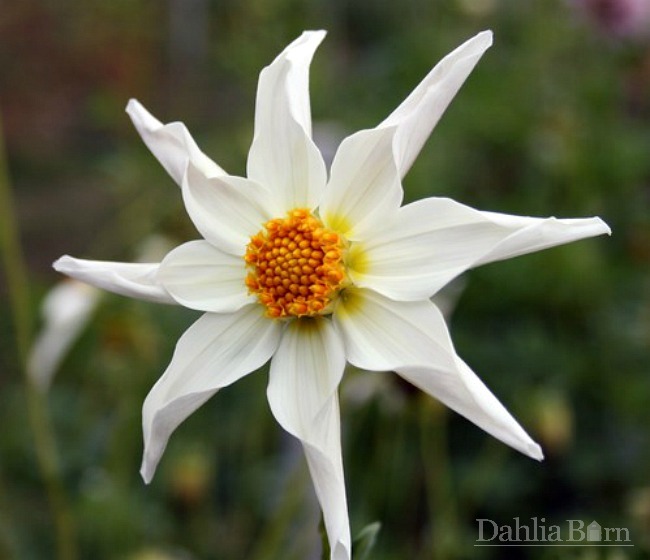 See more dahlia care information on our ‘Dahlia Care‘ page on our website. 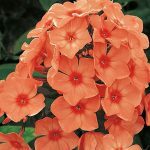 Also see our ‘Online Catalog’ and shop for tubers for the 2016 season ! 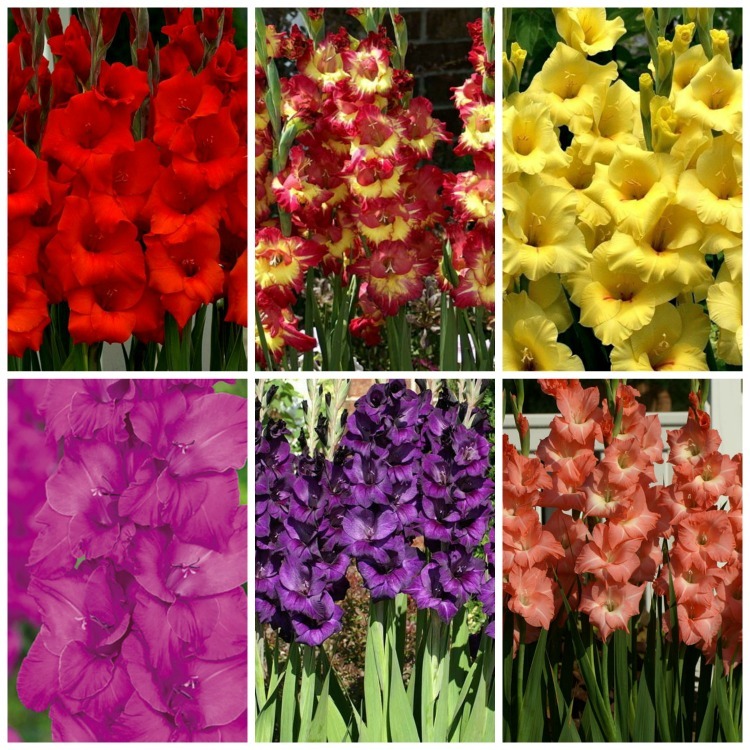 We have some varieties that are extremely limited this year and will only be available through October/November. 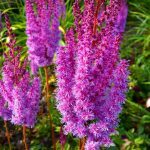 We’ve got a full line of Astilbe, Begonia, Daylily, Gladiolus, Hosta and Miscellaneous Perennials such as Peony and Phlox. 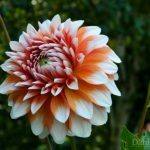 If you dug and stored your dahlias in the fall, now is the time to check on them to see how they are fairing the winter season. However you have them stored, pull out your dahlia clumps and see how they are doing. If you have clumps that are rotted, it’s probably time to start shopping for some new dahlia tubers for spring. 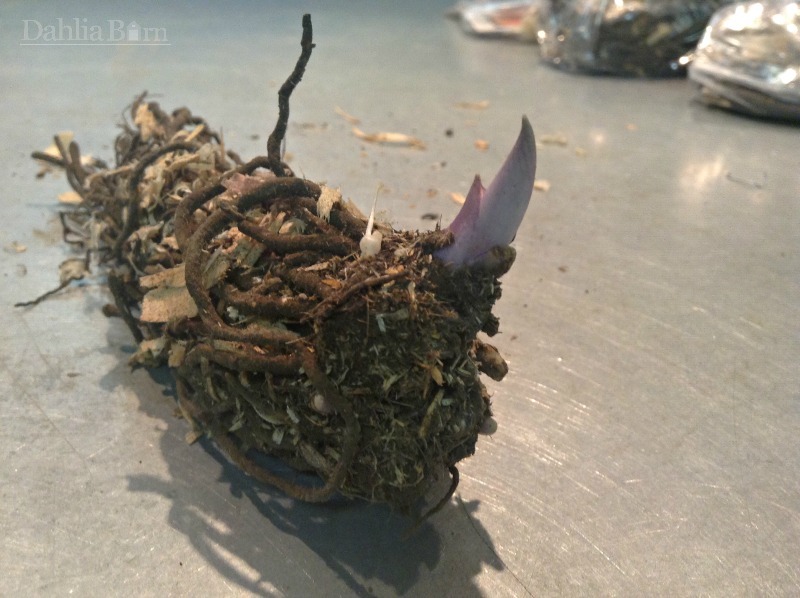 Dahlias will only sprout from swollen part that is attached to last years stem, if that is rotten, the tuber will not sprout. If they are shriveled, the humidity is low in the area they are in. 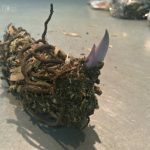 You can try to spritz them with water or place some newspaper in the bottom of your storage box to absorb some humidity and release it to the clumps. The best thing in this case, is to leave the clump intact and don’t divide until it gets closer to planting time. That will hold all the available moisture in the clump for now. 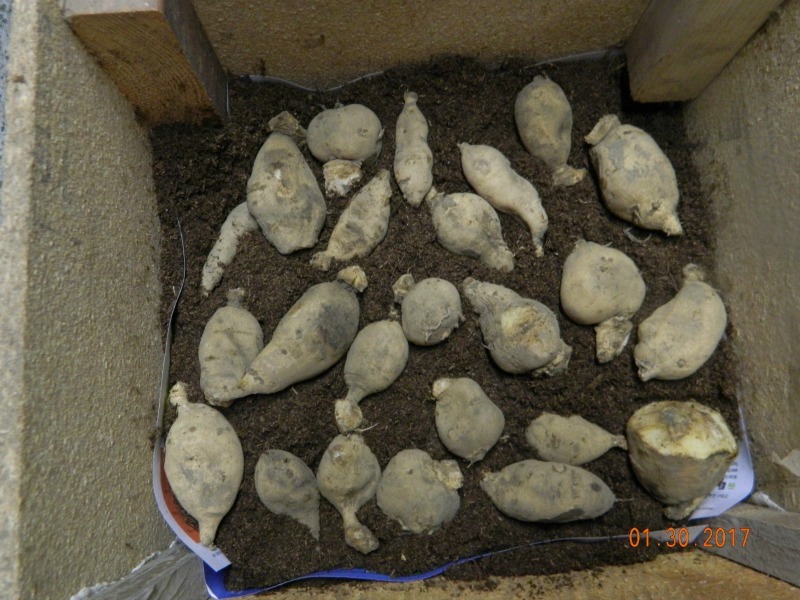 When you are ready to divide your tubers for spring, here is a helpful video from Dahlia Barn owner, Jerry Sherrill, on how to correctly divide your tuber clumps. 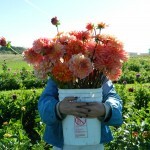 Now that spring is on the way, we’ll be blogging more with great information on growing dahlias. 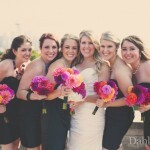 Check out our ‘Dahlia Care’ page for more information. 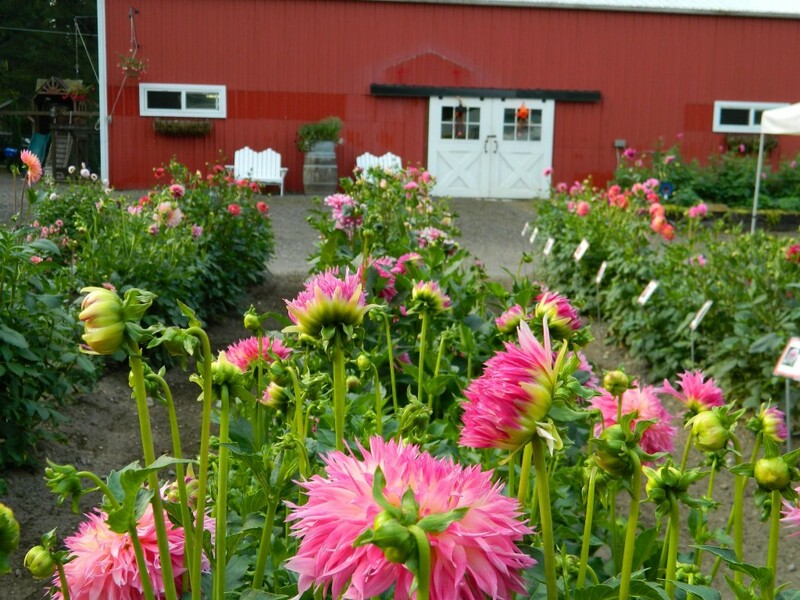 Upcoming blog posts will include tips on soil health, plant health, planting dahlias as well as discussing the other perennials we have to offer here at The Dahlia Barn. 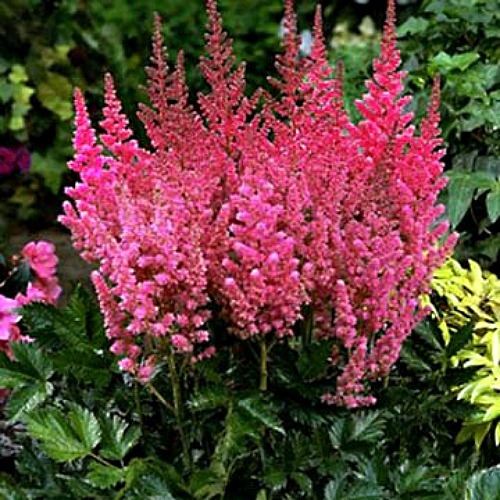 We carry a wide range of perennials including Astilbe, Begonias, Daylily, Gladiolus, Hosta and Phlox. 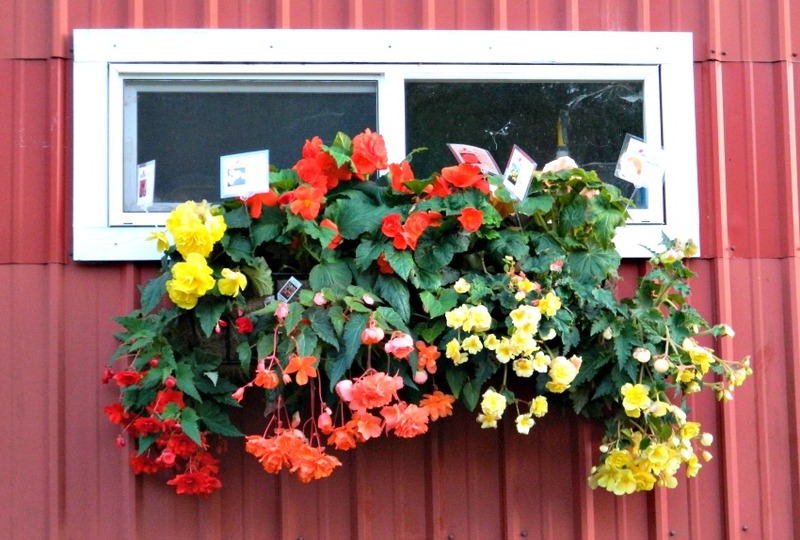 Our Begonias are not your typical big box store begonias. 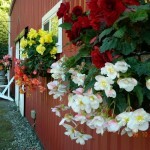 Ours are tall, big begonias that bloom for weeks and weeks in the summertime. 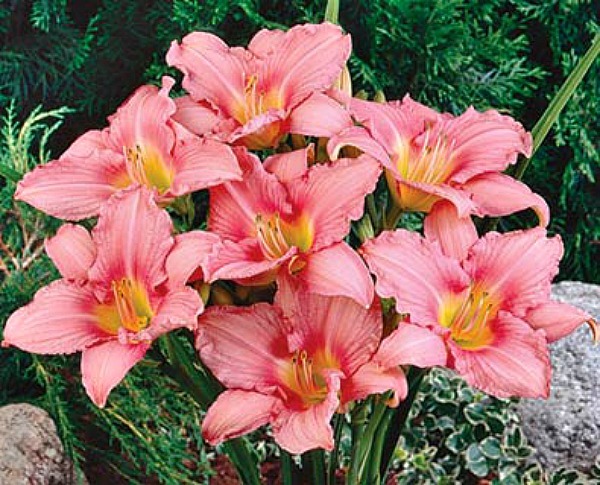 They are a lot of bloom for your buck and well worth it ! The calendar says we are still in the fall season, but winter conditions have hit hard and fast over the last couple weeks across the United States, catching a lot of dahlia gardeners off guard. In some parts of the country, it went from an Indian Summer to winter snows in what seemed to be overnight. The challenges with dahlias is that they need to feel a few freezes in order to properly end the season and cure their tubers. When we let our dahlias freeze in the fall, that tells the plant, “OK, it’s time to go to sleep for the winter.” Then the stalks turn black, the energy is returned to the tubers and the tuber skins begin to thicken as the tubers are preparing themselves for winter. It’s risky to dig your dahlias before a freeze. Dahlias dug too early have thin skins and typically do not survive the winter. 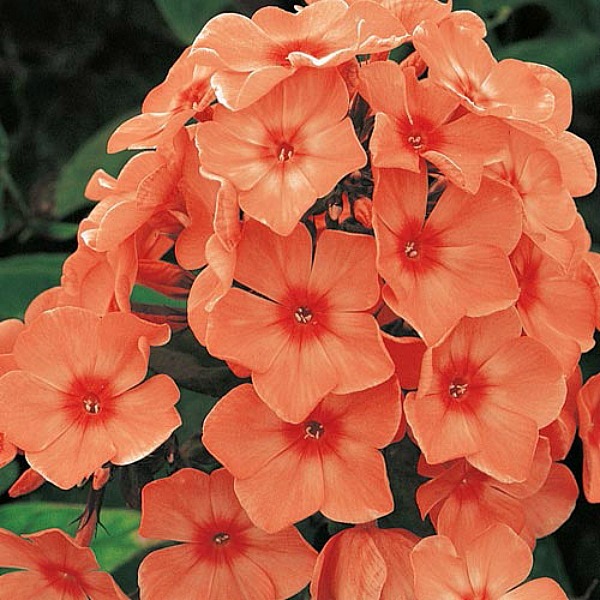 They may look alright now, but usually by spring, they have shriveled to an unusable tuber. 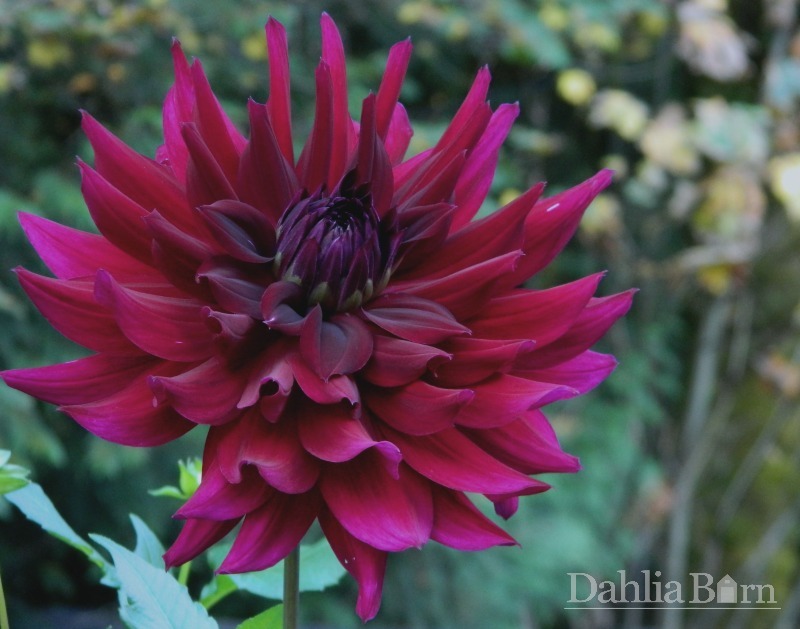 Dahlias are a plant of patience and need their time to do what they do in order for them to survive winter. But what if the cold weather hit too soon and now your dahlias are buried in snow ? Well, that is the unfortunate part of Mother Nature. You never know what she will send your way. If you are buried in snow right now, chances are Mother Nature has beaten you this year. 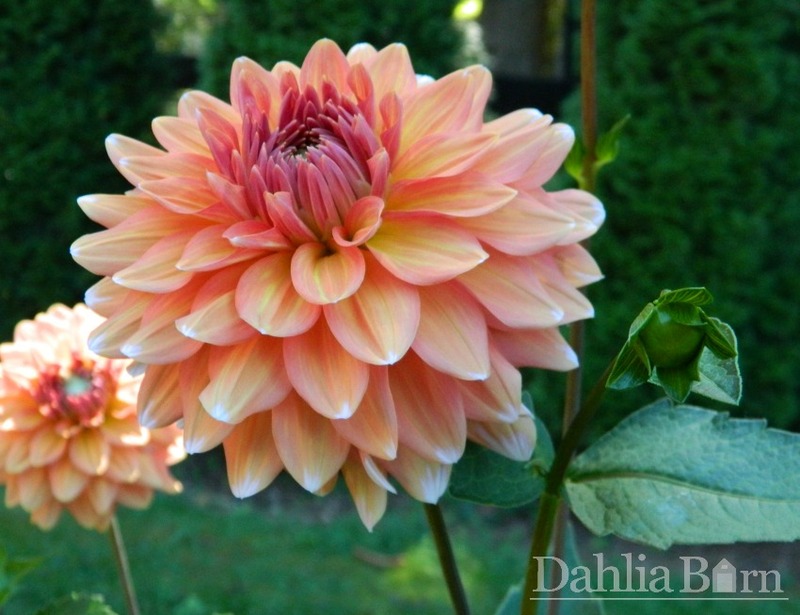 It’s time to plan on ordering some new dahlia tubers for the spring. If you didn’t get any snow, but your soil is frozen, wait until the soil has thawed so that it can be somewhat worked, dig up your clumps and see what you’ve got. If they look dark brown and have a ‘clear’ look to them, they are frozen and should be composted. If you see a more fleshy whiter tuber, it may have survived the deep freeze. 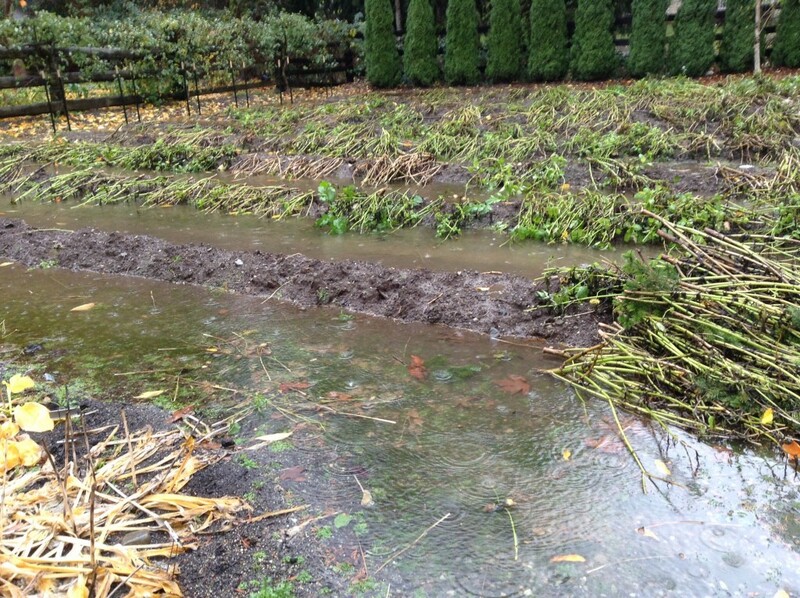 1) When you dig in the fall, if you’re having a rainy fall the dahlias will be up and out of the wet mucky soil. 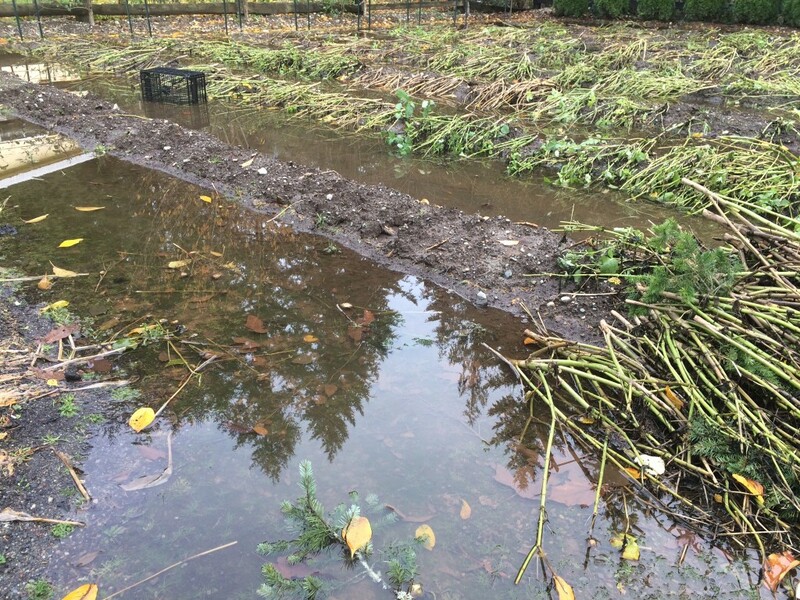 2) If the temperatures fall drastically like they did this year, the top few inches of soil will be frozen. But if you dig down, you’ll find the dahlias are in unfrozen soil. As long as you can remove the crust on top of the mound, your dahlias should be fine. 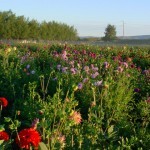 3) Mounding your soil will provide better drainage and warmer soil temperatures than dahlias planted down in the soil. 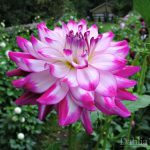 4) There tends to be less breakage with dahlias planted in mounds than there is with dahlias that need to be pulled up from 4″-6″ deep down in the ground. 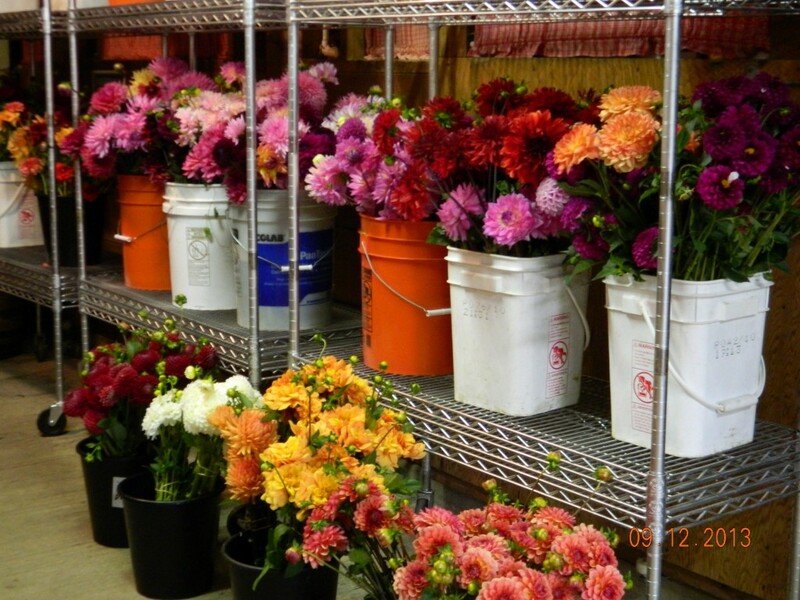 What we do is start with a straight line and place the dahlias eye up about 10″-12″ apart. Then we rake over about 2″ of soil. As the dahlia continues to grow, we continue to pull soil onto the mound. 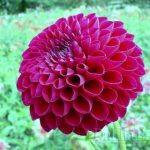 By the time the dahlias are about 18″ tall and with continued mounding every 10-14 days, what you should have is your dahlias down to a depth of 5″-6″. Even we have been affected by the sudden change in temperatures this year. 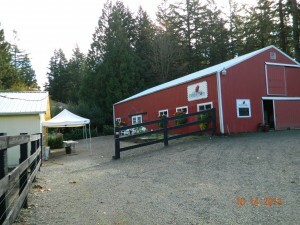 Our Western Washington farm has a fairly mild climate being close to Seattle, we have completed the harvest here. 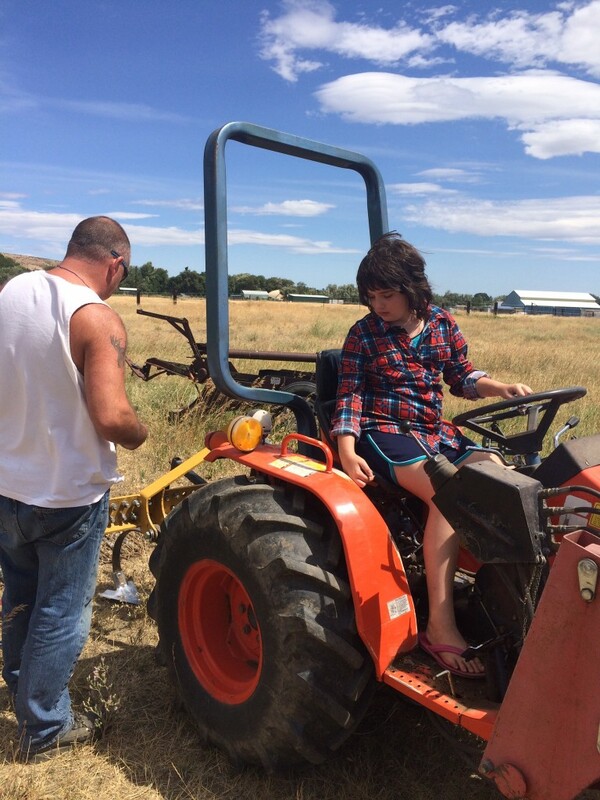 Our Eastern Washington farm in Thorp is subject to drastic temperature changes. We found it to be an extremely late season for digging, but we need to let them freeze. 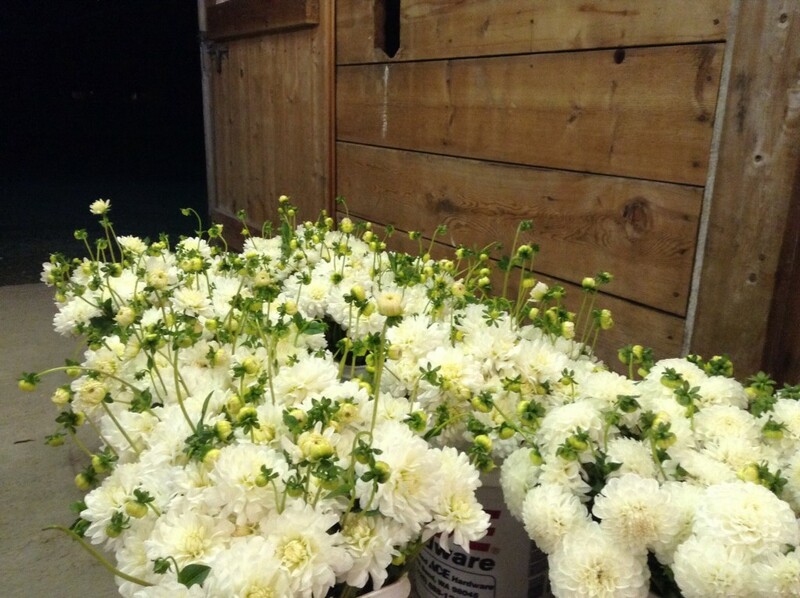 We were cutting flowers on November 7th and we were frozen solid on November 15th. 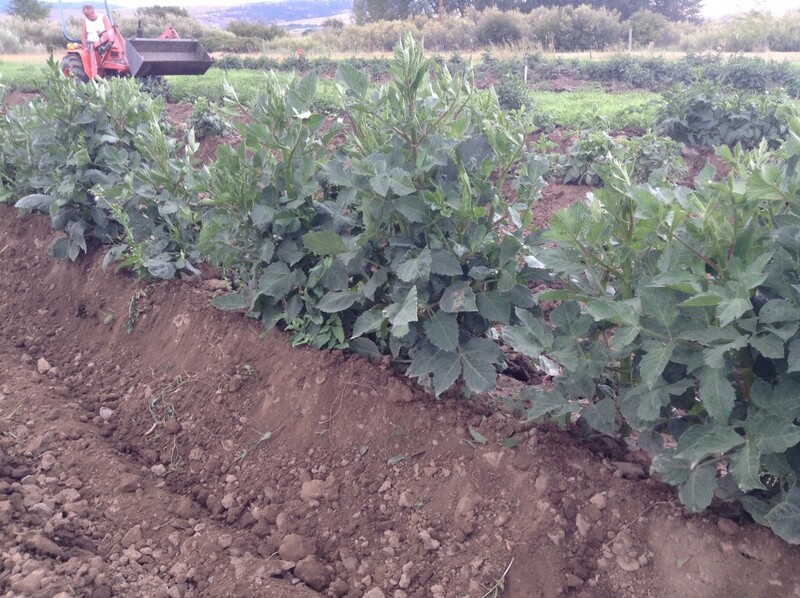 We have incurred some loss, but because our dahlia fields are mounded, we have some protection from the freezing soil on top of the mound, because the dahlia tubers are below the freezing soil. What we’ve had to do is wait until last week to dig. 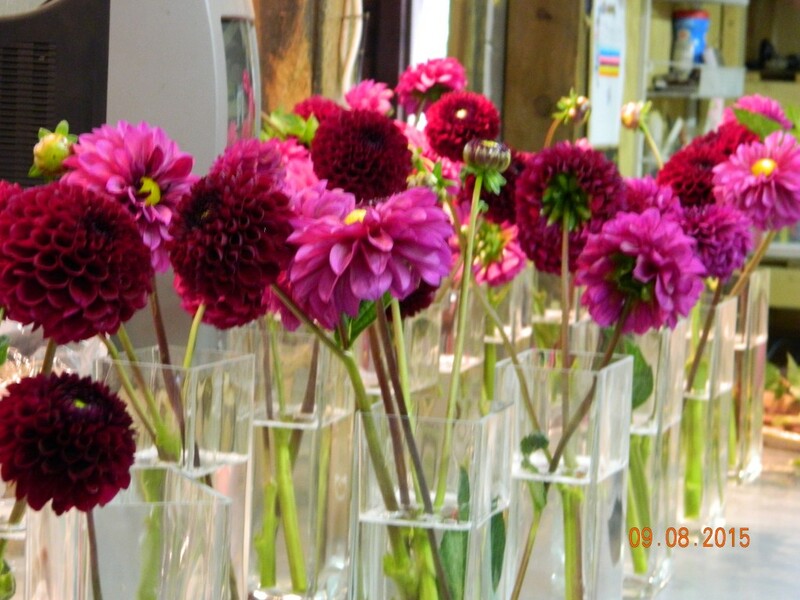 It’s been challenging, but we know that the dahlias have cured their skins and have prepared themselves for winter. We’ll lose some, but we are looking forward to adding new varieties for next season too. 2014 has been a challenging weather year for us in many ways. A hot summer, combined with an early full moon freeze on September 12th, now a late freeze. The 2014 season will be one we will be happy to say ‘so long’ too. Here’s to better farming weather in 2015! 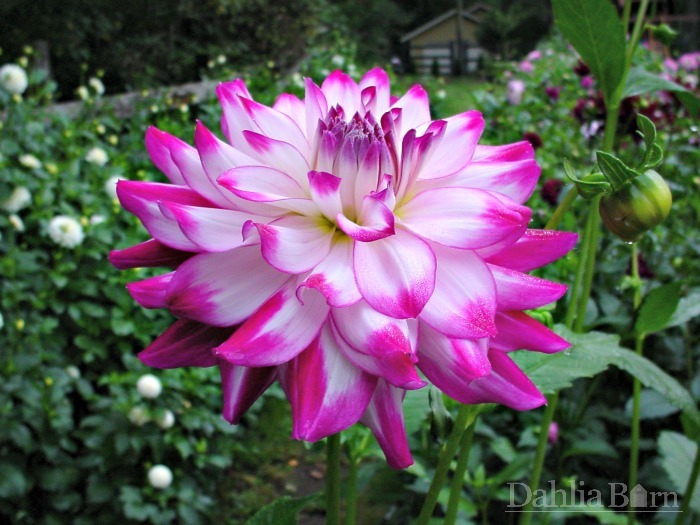 Check out our ‘Dahlia Care‘ page for great information on growing dahlias! Our next blog will be all about dividing your dahlia tubers! 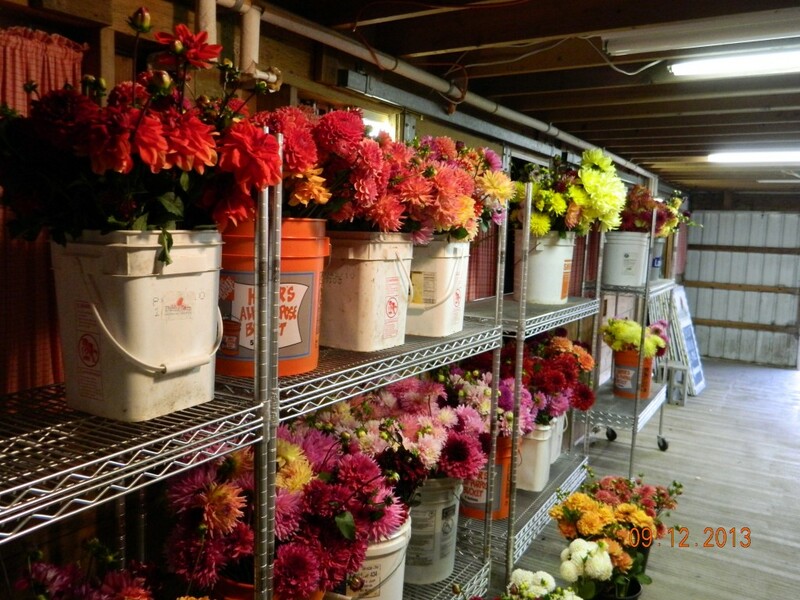 After 11 years of being open to the public for U-Cut Dahlias, we now are finding the need to take The Dahlia Barn in a different direction. 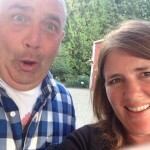 Now that we are entering the adolescent, teenage years here at the farm, we’re finding the need to do some discipline and make some changes to our business. U-Cut has been a great way to get our name out there and to have people enjoy a visit out to our farm. 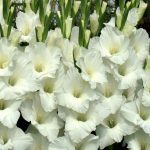 What we are finding is an increased demand for top quality wedding flowers that could easily take every flower we grow every week of the flower season. 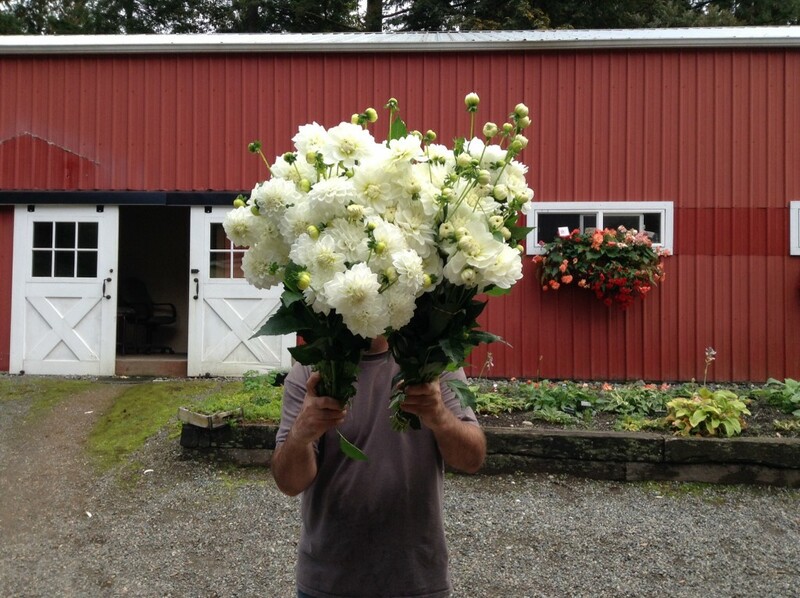 Because our flowers are sold already, there has become less of a need for U-Cut. We also need to gear our gardens towards the amount of people that want to view our dahlias and shop for tubers for the following season. 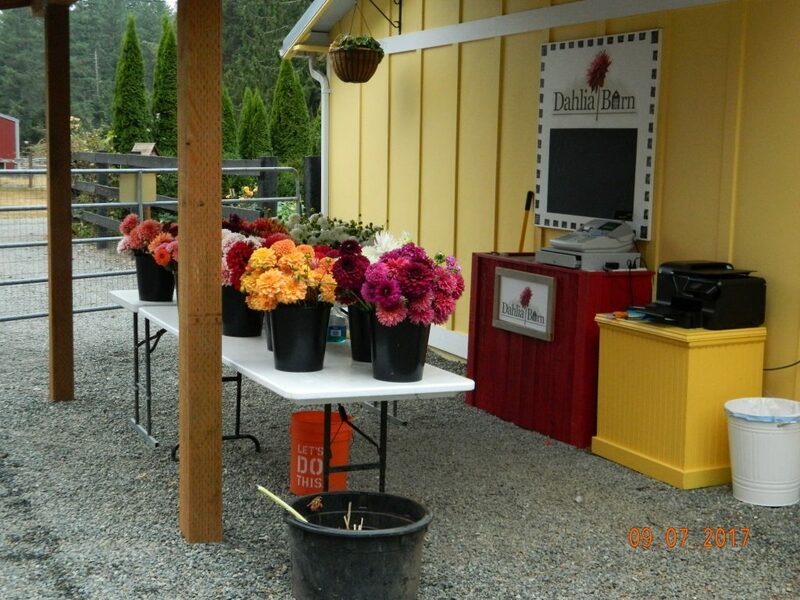 Dahlia tubers is the biggest part of The Dahlia Barn and generates the most earnings. 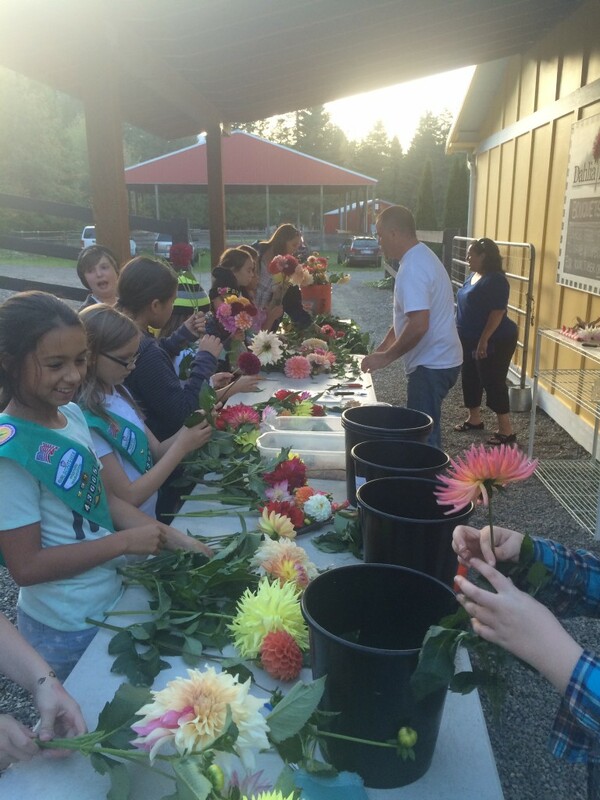 Our tuber customers are the most valuable and the gardens are set up for the tuber shopper. 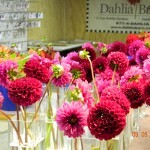 They are very organized, well labeled with the dahlia name and the tuber price. We even have our gardens planted by color. 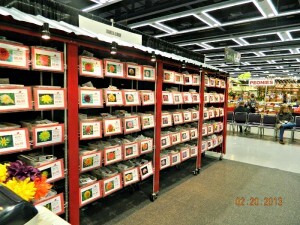 This way you can view all the reds we have available, whites are in another section, oranges, pinks, etc. We make it at easy as possible for our tuber customers. With the gardens also being U-Cut gardens, it’s sometimes difficult for the tuber customer to see the dahlias in full bloom and to get a really good idea of how the flower really looks. Looking forward to the future, we always want to share our gardens with the general public. 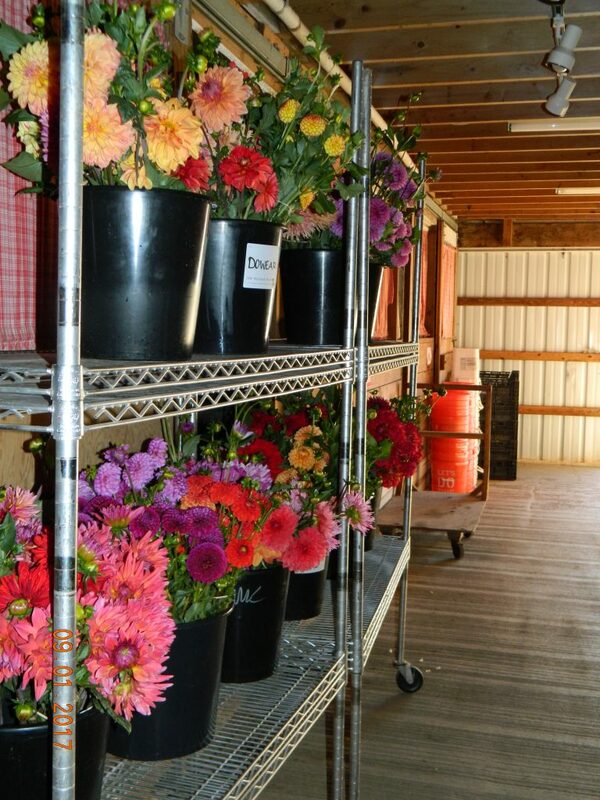 What we are moving towards is more of a Dahlia ‘Flower Festival’ at The Dahlia Barn. 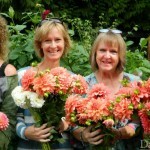 A festival that could take place during the last 2 weekends of September when dahlias in the Pacific Northwest are at their absolute best. 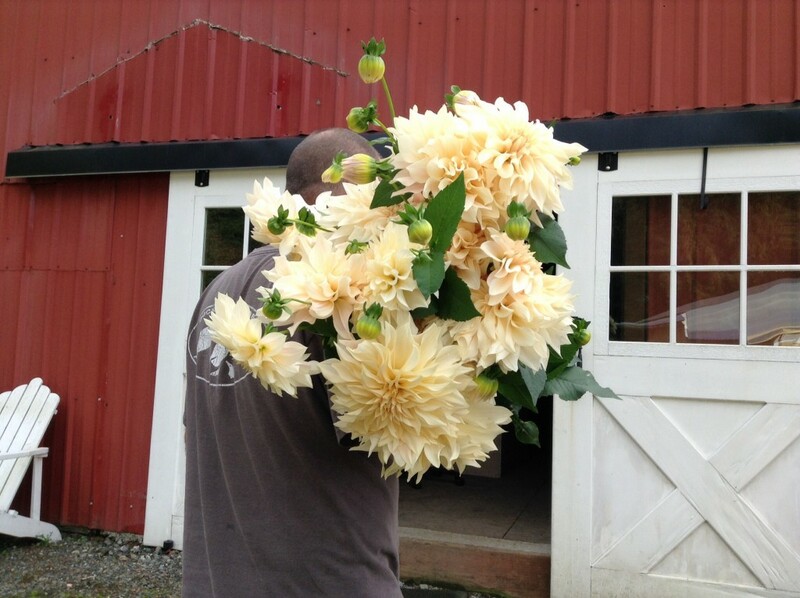 Some thoughts are to have fresh cut dahlia bouquets available, possibly some food vendors and a novice ‘Dahlia Show’ that would be ‘Peoples Choice’. 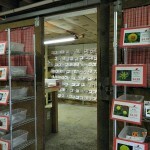 A place for local gardeners to display the dahlias they have grown, in our barn for the public to view and vote for which dahlia they like best! We have a year to work out the details and we are sure to make it a fun time for all. 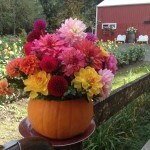 Another important point is that dahlias are really a fall flower and not a summer flower. Dahlias come on when all other plants have finished their bloom for the summer. Like the rock stars that they are, they carry us from late August until the pumpkins have arrived in October. 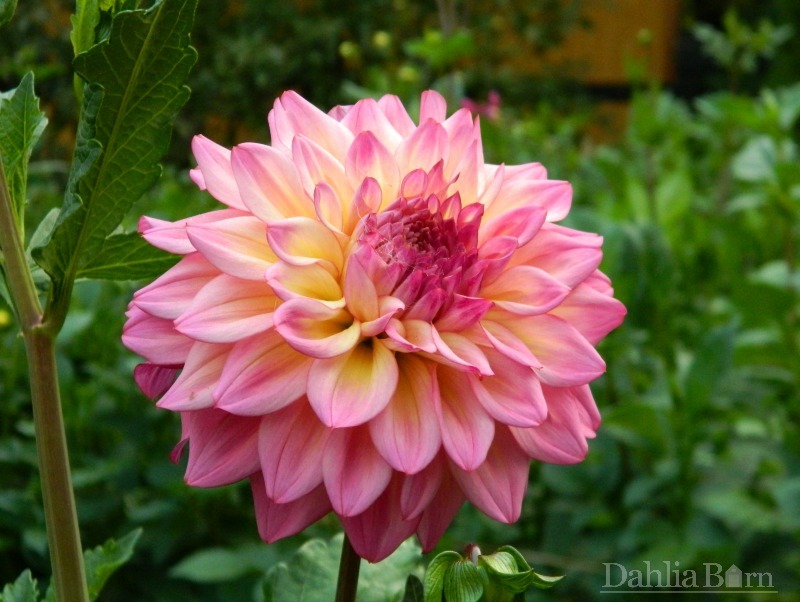 Take this valuable advice from us, the dahlia growers! 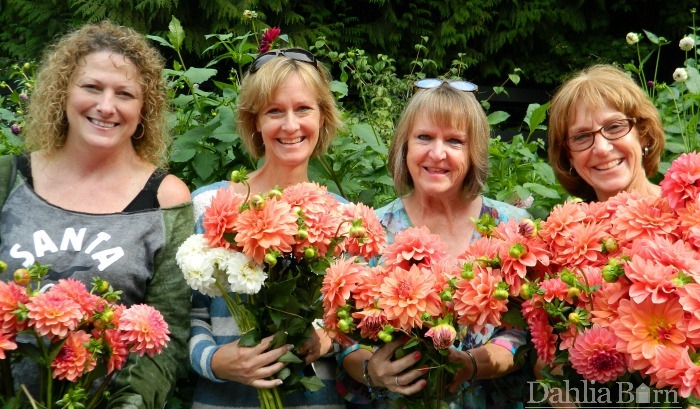 We want you to be successful in growing dahlias! 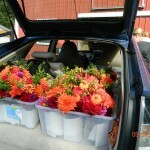 Dahlia shipping season has begun ! Things are gearing up here on the farm. Shipping has begun to warmer climates such as Southern California, Florida, Hawaii, etc. The Central United States will begin shipping around early April. The Northeast is still in the grips of one of the worst winters that they’ve seen in years. Shipping to that area will be more in the late April /early May time frame. It will be awhile before they can plant. There is still lots of time to get your order in for this season, we’ll continue to take orders and ship orders until early June. 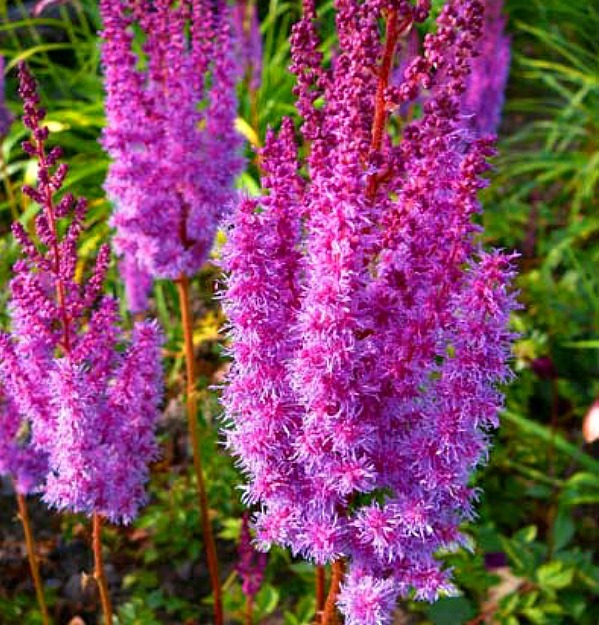 Don’t miss out on these beauties in your yard this fall. 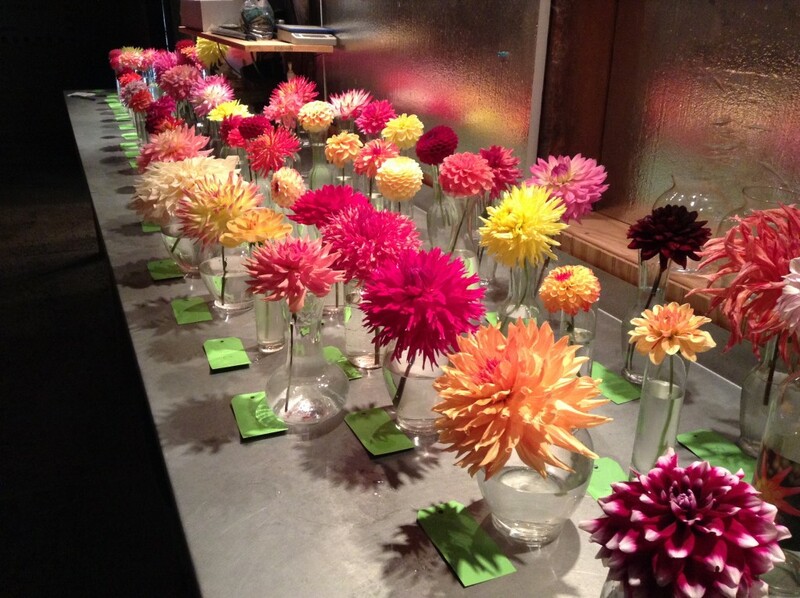 Dahlias are the best for lots of reasons. 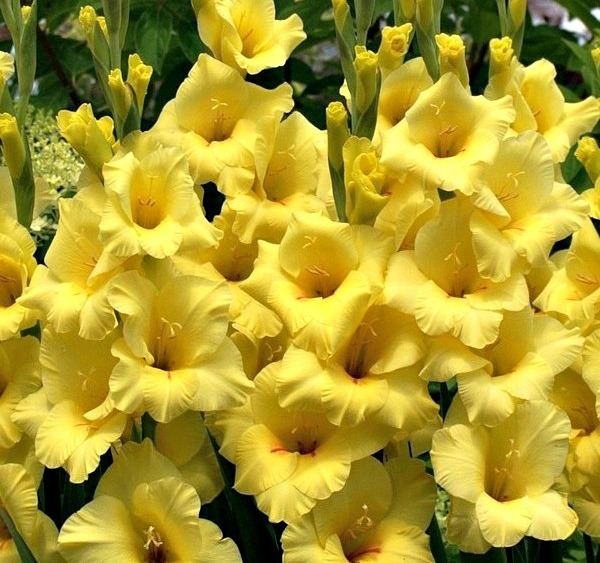 First being, they are more of a fall flower than a summer flower. Dahlias come on after most everything is done blooming for the year. 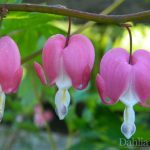 In our area of Washington State, they begin to bloom in late August, September is really their prime season, and they continue to bloom until around mid-October, or until the rains come back and beat them down. 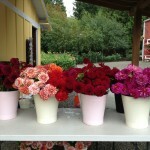 They make a stunning display for your table or to give to your neighbors, take into work, etc. 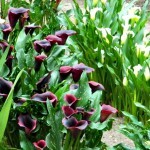 You’ll have people green with envy and wanting to grow them in their own yard. 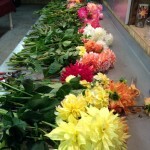 When your dahlias are in bloom, one of the most important thing is to cut them! CUT THEM ! Because the more you cut them, the more they will bloom. They are work horses and they love it! 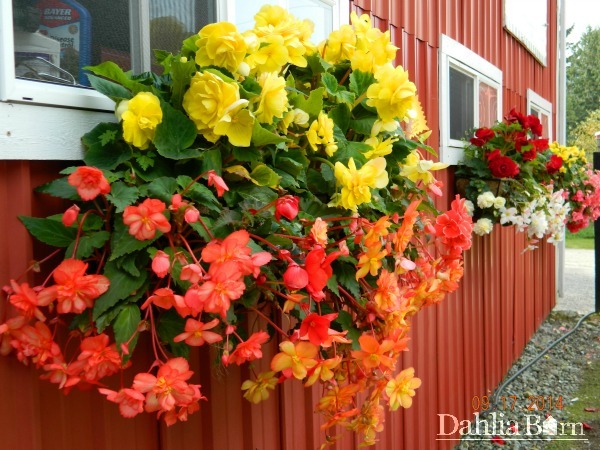 This blog post is dedicated to the seasons we experience here at The Dahlia Barn. 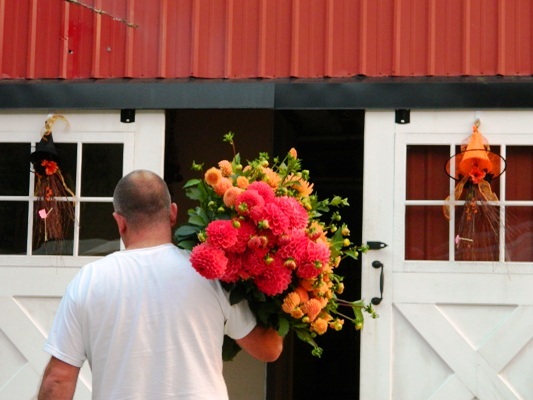 horticulture businesses, dahlia growers and the public. It’s amazing to have 80,000 people coming at you in a matter of 5 days. We’re in our booth for 11 hours a day for 5 days, those days fly by fast. Feels like 11 minutes. 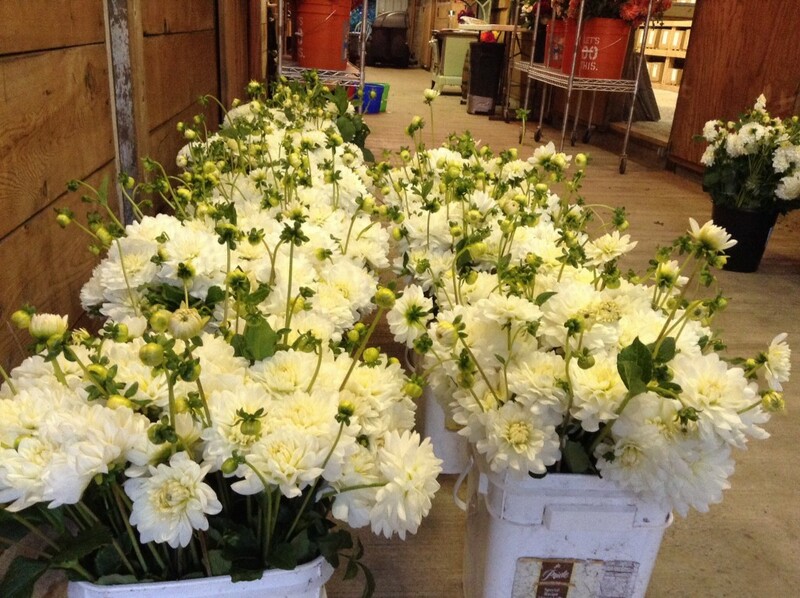 After the Garden Show is over, we head right into spring shipping of our dahlia tubers and perennials. We start in March, shipping to the warmer climates like Southern California, Florida, etc. Then we slowly go up the United States through April and ship the Northern US in late April/early May. 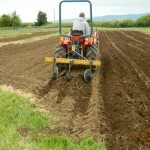 Tuber Sales are wrapping up and it’s time to get the tubers planted. Planting, for us can be one of the easier parts of spring for us. 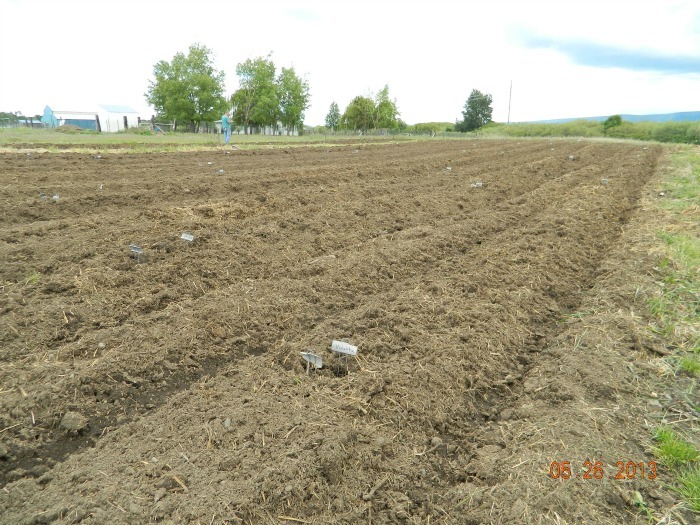 It’s important to wait until the soil is at 60 degrees before planting. Once that soil temperature is reached, your dahlias start growing. Be patient, all early planting does is cause your dahlias to get off to a bad start, begin to rot if the soil is too wet. Plus you’ve got to fight the weeds for extra weeks at a time. We always plant the last 2 weeks in May. 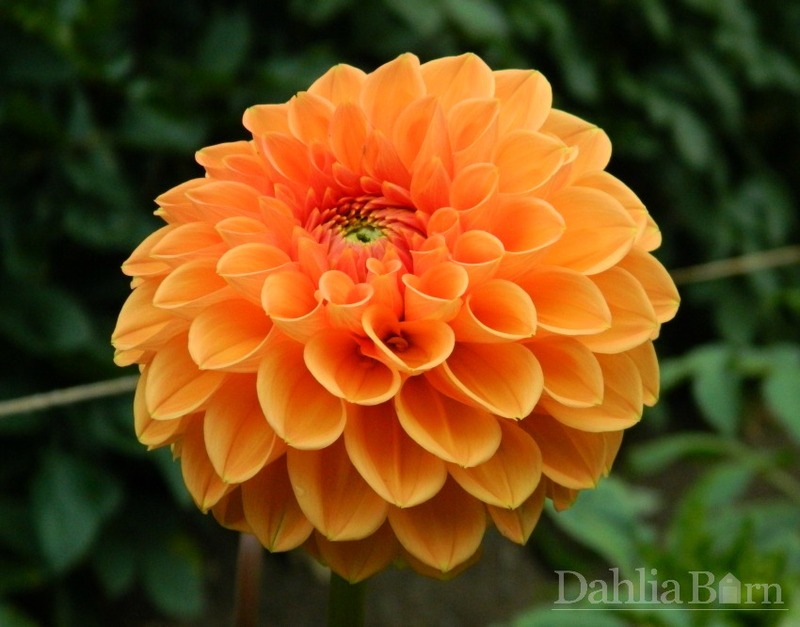 Check out our ‘Dahlia Care’ page for detailed information on how to grow dahlias. 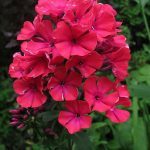 June-July-August is constant weed control and maintenance in the gardens. Especially in Eastern Washington where the weeds are quite vigorous and nasty. If we don’t cultivate every week, we pay dearly for it and have learned our lesson over the years. 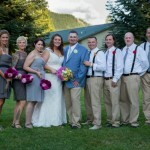 Our Thorp, WA. 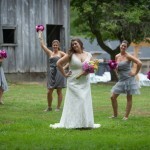 Dahlia Barn is a beast that must be kept at bay. If not, it will bite hard !! 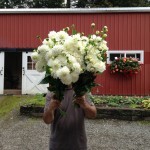 public to shop for tubers and enjoy cutting a bouquet to take home. 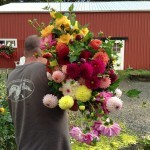 All the bulk cut flowers come from our eastern Wa. patch, that is not open to the public, it is production only. 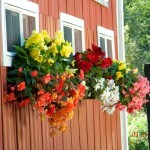 Flower season is about a 6 week season, that can feel like 6 days at times. It goes by so fast. Then we let the flowers freeze and the process of the harvest begins. Then the cycle begins all over again. 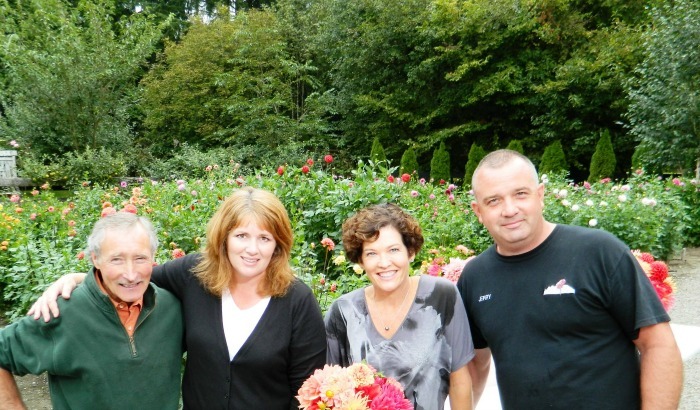 If you live in the Seattle area of Washington State, most of us know local gardening celebrity Ciscoe Morris and his trusted co-host of the show Meeghan Black. Meeghan also hosts a prime time show in the Seattle area called ‘Evening Magazine’. For the 2nd time in 2 years, we were lucky enough to have them film the show, ‘Gardening with Ciscoe’ at our Dahlia Barn. Millions of people watch the show and it is great advertising for us. I can’t tell you how many people tell me, ‘I saw you on Ciscoe’. 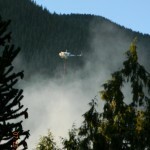 It carries a great deal of weight with the public in our area, as everyone trusts and loves Ciscoe. 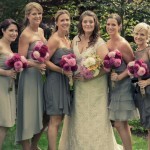 It also works out really well for them as they have a beautiful backdrop of flowers to shoot the show with. 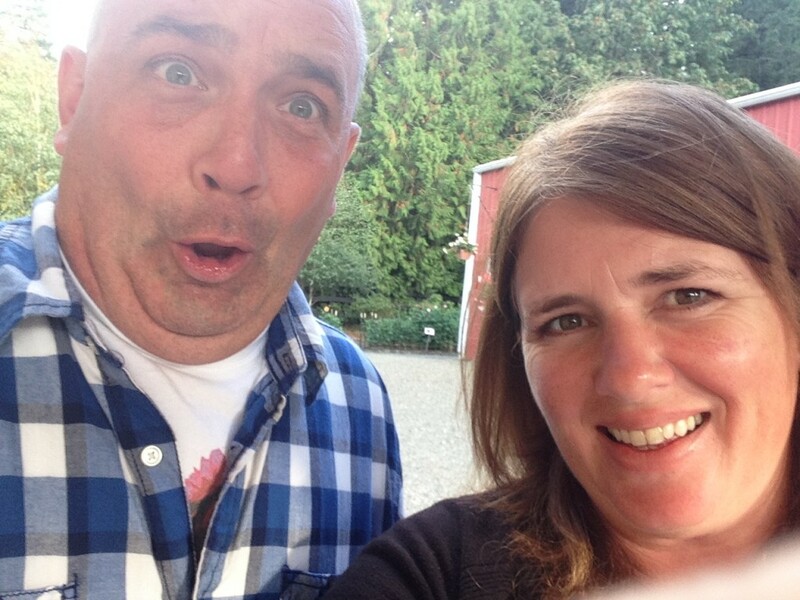 We love having them on the farm and I believe we will have more segments in the future. It’s a win-win for all parties. Sunset Magazine – We were also in the September issue of Sunset Magazine. The Pacific Northwest edition. 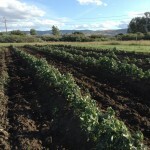 The tuber harvest at both farms is now complete and Mother Nature was extremely nice to us this year. 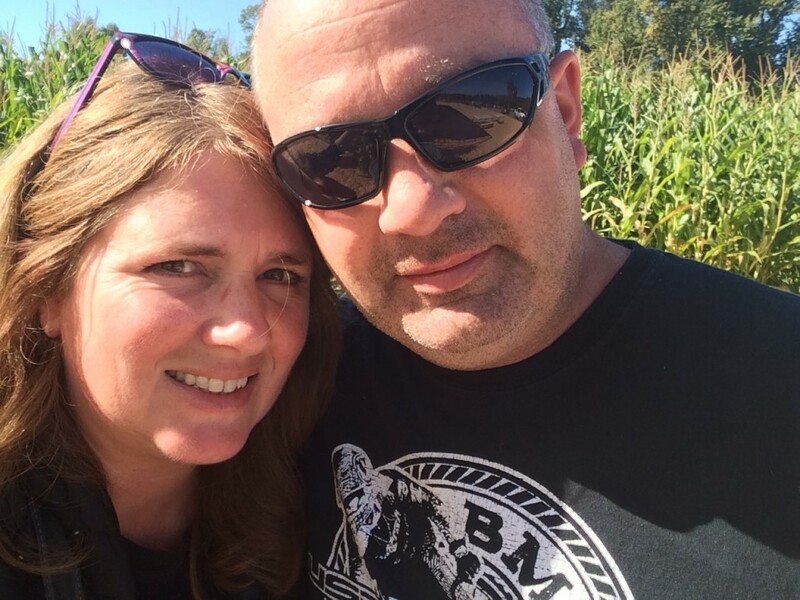 On all the days that we were harvesting, temperatures were cool, but the sun was shining. The perfect weather for digging dahlia tubers. 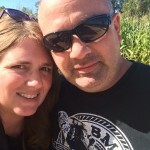 It was another outstanding harvest this year. 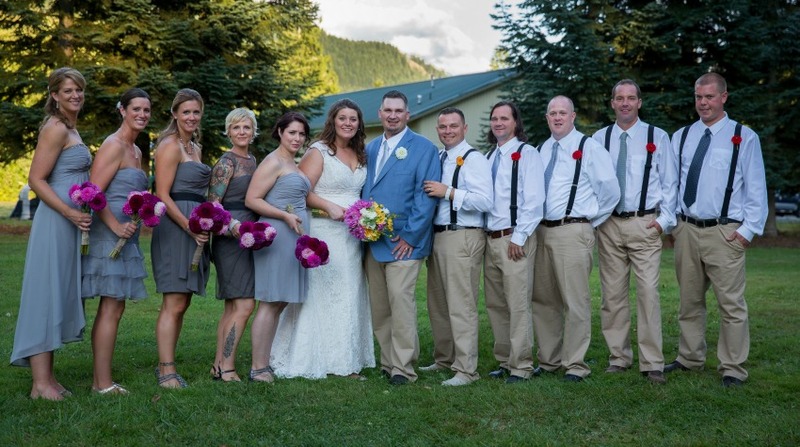 We started at our Thorp, WA. farm, which freezes first in the fall. After a 2-3 week period after the freeze, we can harvest in late October. It’s extremely important to let nature freeze your dahlias before you dig. This is what tells the dahlia, “it’s time to go to sleep for the winter.” During this time, their skins are ripening and they are preparing themselves for winter storage. 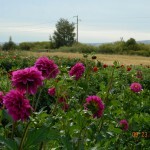 Dahlias dug too early in the fall will have a tendency to shrivel in storage and don’t survive winter. Be patient with your dahlias, they don’t cooperate if you don’t give them their time. 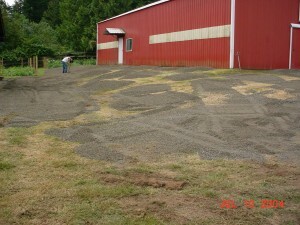 good base to start with as most of the property was horse pasture for many years. But dahlias do take a lot out of the soil too, and soils need to be amended every year. 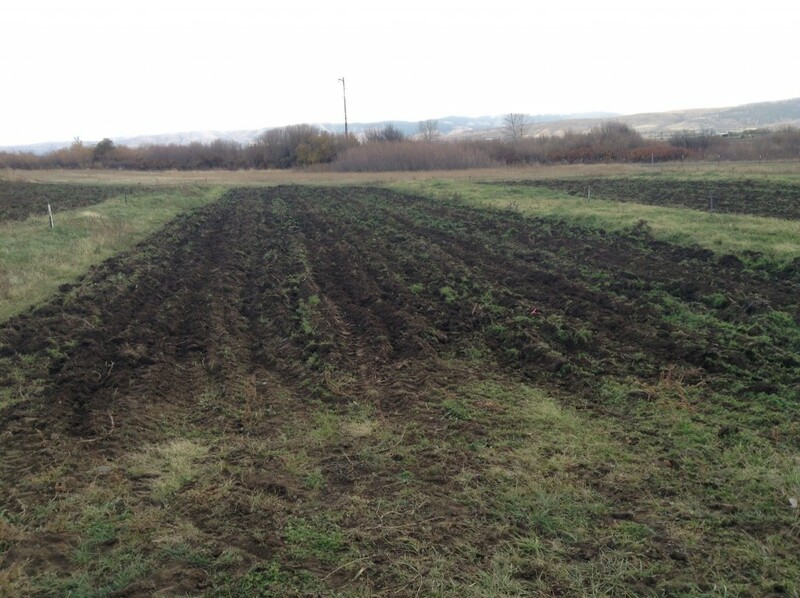 Today, when we till in the spring, our soil always reminds me of a freshly baked chocolate cake. It takes years to fully accomplish this, but it is all about your soil. Plants are only as healthy as the soil that they are planted in. I had a professor in college tell me, ” if you spend on dollar on your plant, spend ten dollars on your soil.” The front garden was built last and is the main garden that people see first as they drive into our farm. Initially, and for years before us, it was nothing but grass and a place to park vehicles. 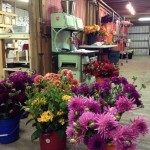 It has transformed from a parking lot to one of the main focal points of The Dahlia Barn. When I look at this picture, it makes me smile. I see Jerry tilling the first row of this new garden, he’s so young, his hair is all black, our daughter Lauren was a newborn, only 2 months old at this time. Now, Lauren is 9 and Jerry is far more grey today, than he was here. Self employment and children will do that to a person, I say that lightly and jokingly. The harvest is upon us and is beginning this weekend. I’ll be back for lots more good information very soon. Thank you for reading and Happy Halloween!! 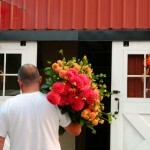 Welcome to our new blog, we are just wrapping up an outstanding dahlia cut flower season here at The Dahlia Barn. This summer was one of the best we’ve seen in the last few years, and all the plants were loving all the summer sun and produced with abundance this year. 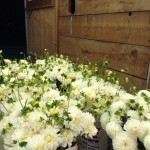 Business is good and we sold every flower we grew this year, as in most years. Success to us is cutting the field to nothing but buds, then cutting again a few days later to a whole new batch of fresh flowers. 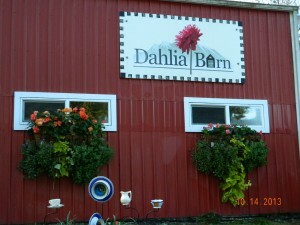 we name it?” and he said, “well, The Dahlia Barn!” Perfect !! Jerry always comes up with the best names !! 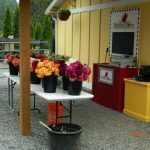 There are mostly U-Cut Christmas Tree Farms in North Bend along with a 40+ acre blueberry farm, but no place to get fresh cut flowers and certainly no place where you can cut your own. 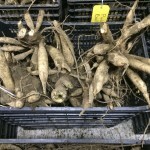 I started working on getting our hands on some wholesale tubers and we started to plan the garden. The gardens are laid out in the old turn out pasture for the horses, that year 2003, we laid out the gardens and just grew them to get a handle on it, started working on the website and then we opened up to the public in 2004. The path has not been an easy one, but has certainly been a labor of love. We LOVE it and couldn’t imaging doing anything else. It’s demanding, back breaking work at times, there are high and low times and it’s not easy. Some people see our gardens in September and say, “I could do this!” That’s fine, but what I say is that you wouldn’t want to be us in November during the dig. That seperates the farmer from the gardener, we are farmers !! No doubt about it. We love cut flower season, but tubers is our business. 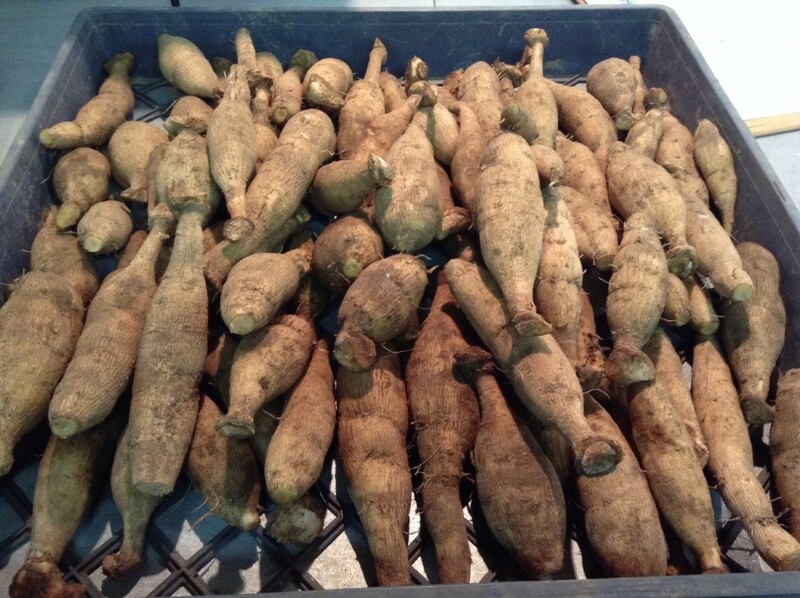 We grow, harvest, package and ship tubers all across the country and to Canada. I’ll talk more about our Eastern Washington location more in future posts. 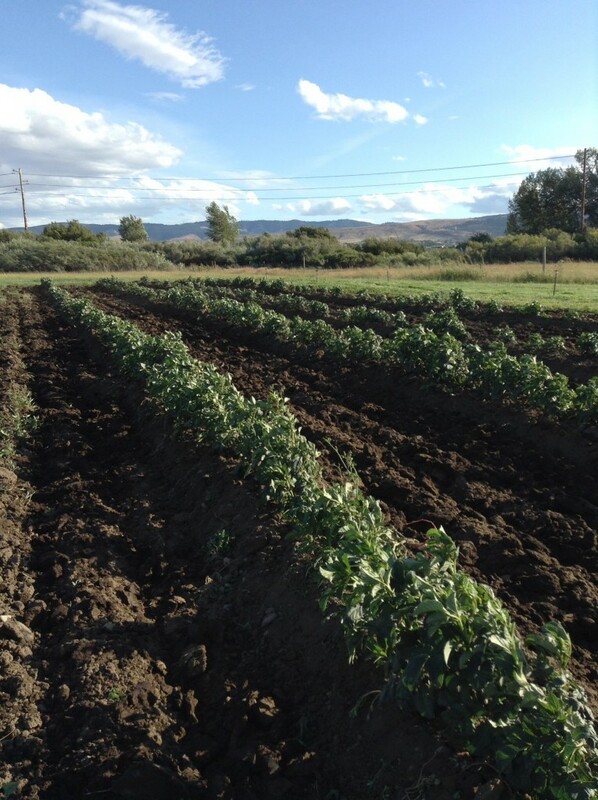 Eastern Washington has the sun and soil needed to produce excellent, strong tubers. 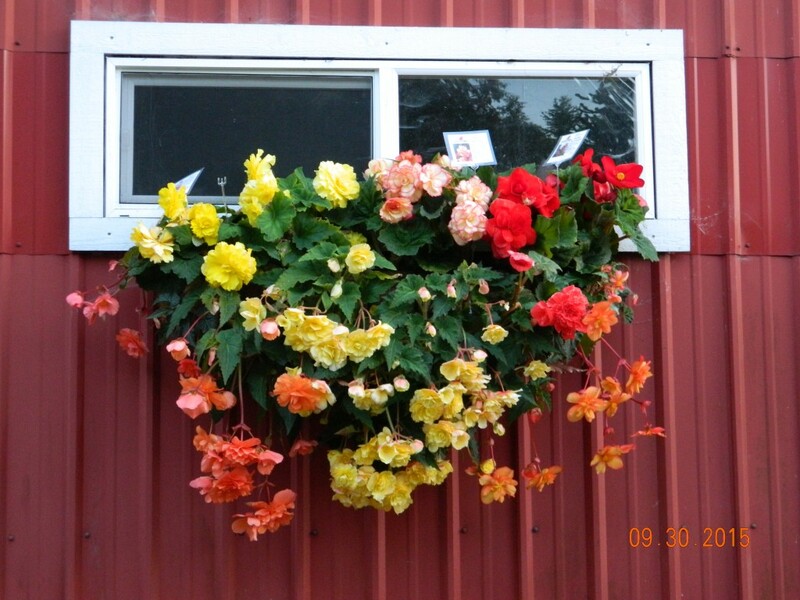 North Bend is our show garden and Thorp, WA. is our production garden.